Love is the most precious thing on the planet. 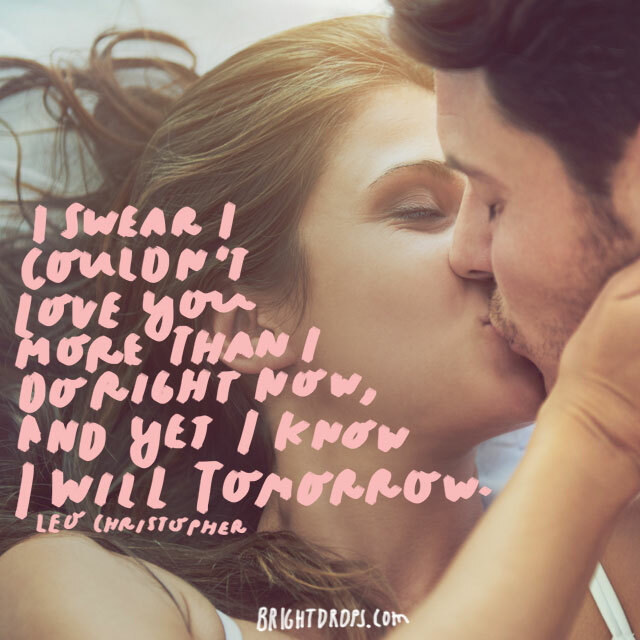 If you are lucky enough to love and have the love from a great man, then browse these love quotes for him and find the perfect message to share with him. 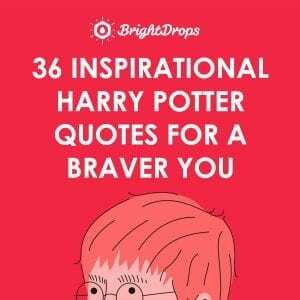 This collection of quotes includes some poignant and deep thoughts on love that are bound to warm your heart. Though the body of a man can live on without love, there’s a peace inside of him that would simply wither away without having given love or received any. 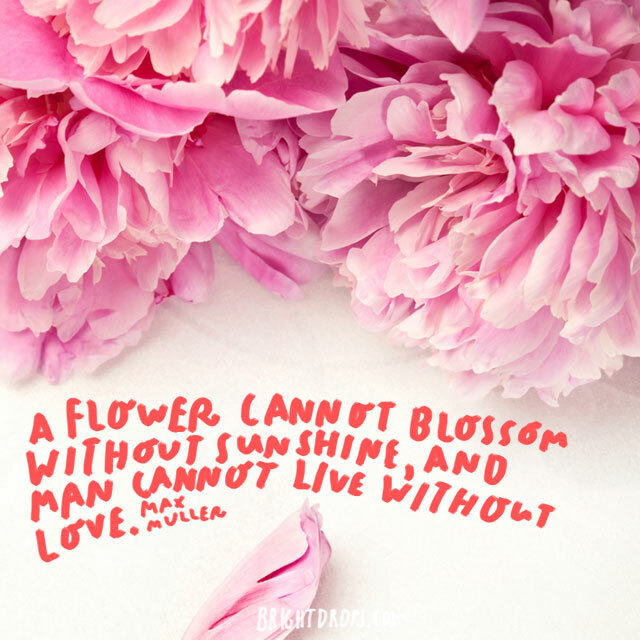 Just as a flower dries up and dies without sunshine, so does a man’s heart without love. 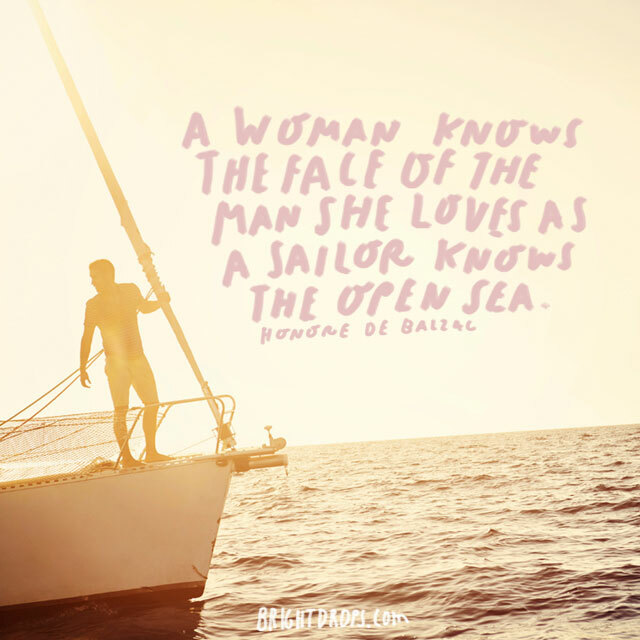 Do you feel this way about the man you love? That there is some tie that has connected you for all time and eternity? If so, this is a beautiful quote to share with him. You may feel that you have loved him before in faraway times and places. 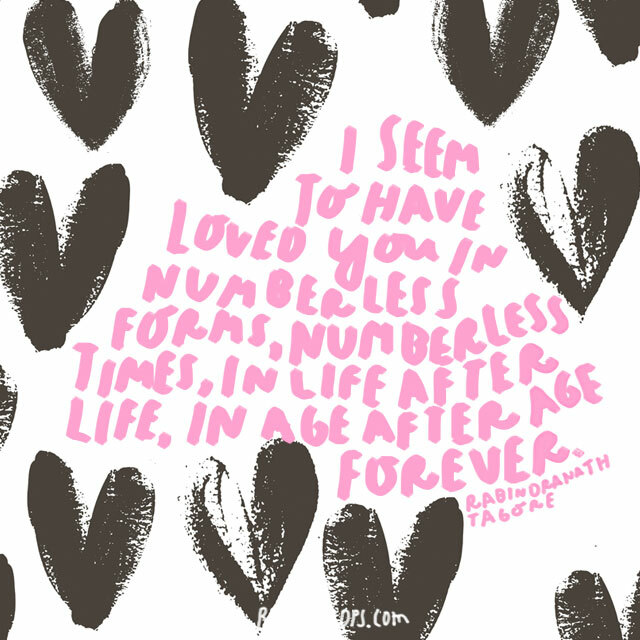 If you were friends with the man you love before you became lovers, then you can most likely relate to this quote. Many times a great love is forged from the bonds of friendship. Make sure that no matter how long you’ve been together that you also remain friends. When we allow ourselves to, we are able to love so deeply that we never see the bottom of it. Your love might have changed and expanded over time as you both have changed, but the fact remains that the love you share has no end if you both do not wish it to end. Perhaps this is the way that you and he got together. It wasn’t something you are looking for, expecting, or perhaps wasn’t even something that you wanted at first. 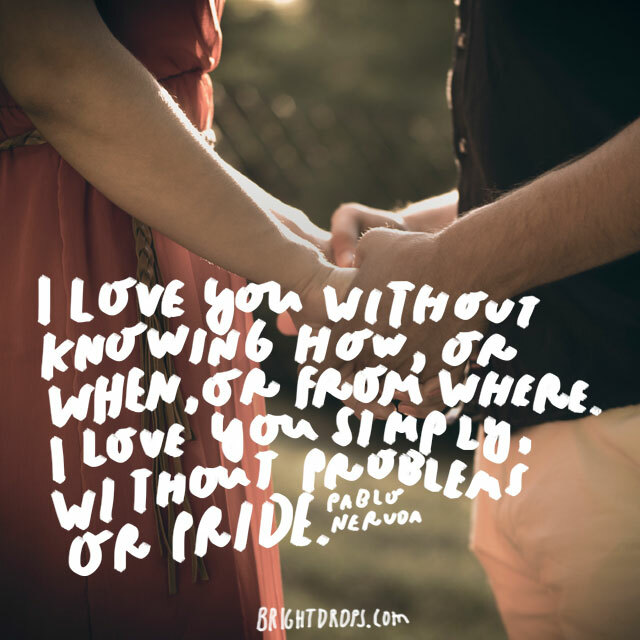 However, true love does come without problems or pride and flows effortlessly if you but let it. The key is making sure you are open to it. 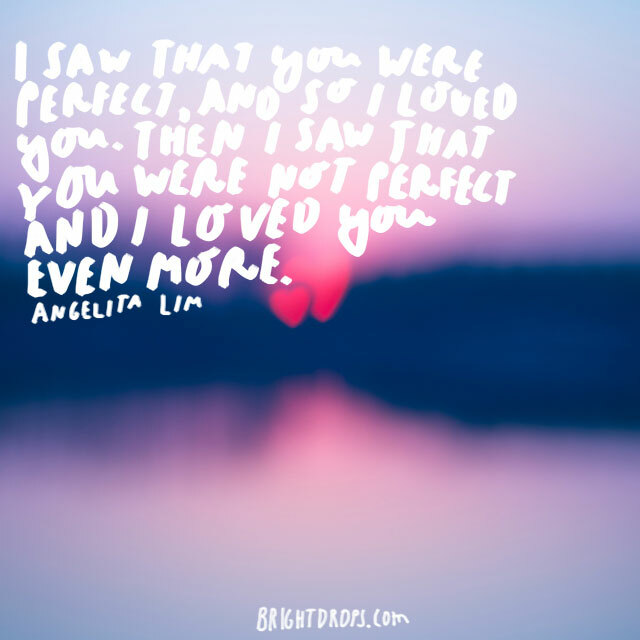 This quote makes us think of unrequited love, or a love that has poor timing. Perhaps your love for him is not something you can express right away and so you love him secretly. 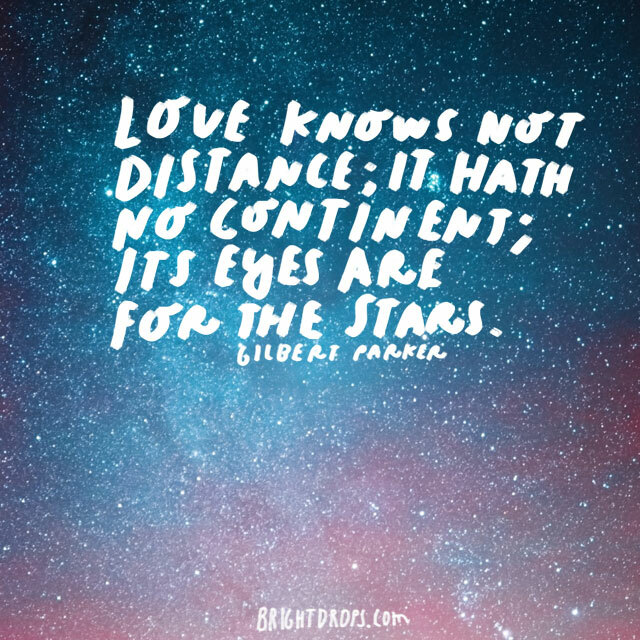 A small, obscure, and quiet love may be lingering inside of you, waiting for the stars to align. You most likely would tell him that you love him with your last breath. 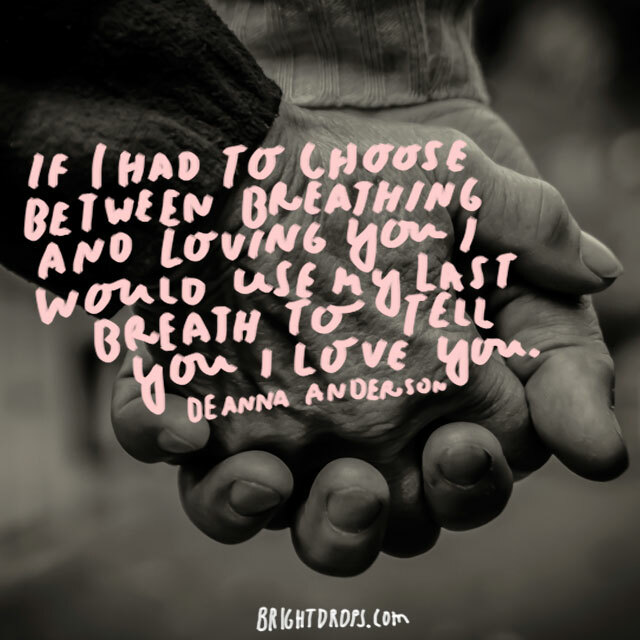 While we hope that you don’t take that breath any time soon, make sure to embody this quote by living every day like it might be the last chance you have to tell him that you love him. This kind of love is enduring, and strong. It’s like soft background music when you are at work, or sleeping, and then it’s there to turn up when you want to immerse yourself in it. Let him know that you carry thoughts and feelings of him every day. 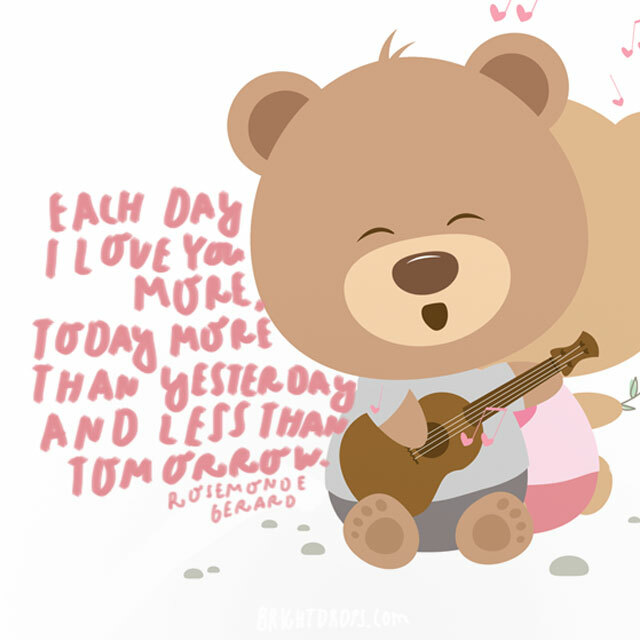 One of the best love quotes for him can be shared with a song. Do you feel like you can’t possibly be away from him, and have no interest in sleeping because you would rather spend every minute with him? If the answer is yes, then go listen to this song and slow dance to it with your love. 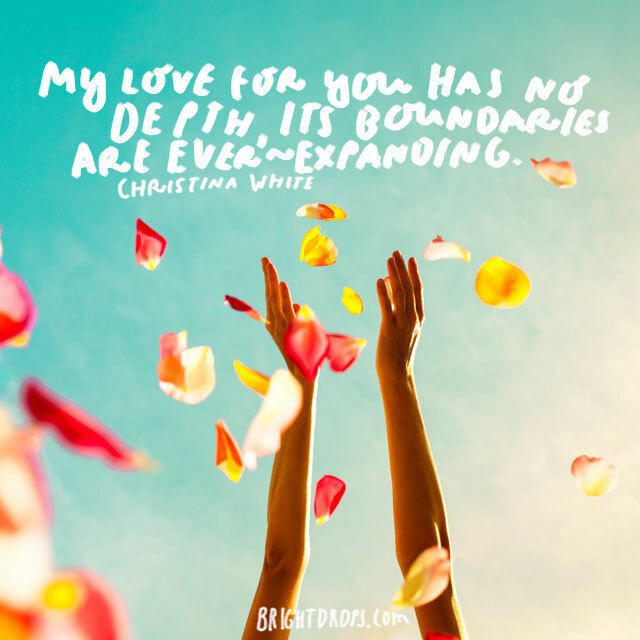 This is another quote that speaks of loving him beyond the boundaries of your human body and human life. Some love feels so ancient and so familiar that it changes our entire existence on this Earth. You know beyond words that you love him mind, body, and soul. Do you ever feel like your love grows each and every day for him? Share this quote with him and let him know that with each day that passes your heart becomes more full of him, and will continue to do so until the end of time. Cherish the knowledge that you will love him so much more tomorrow. You may feel that you would give up anything for the love of your life, but if he were to ask you to give him up it would be the one thing that you would refuse to do. Let him know that he is the most precious person in your life. When you are so full in love and full of each other, it is easy to feel that he is your everything. He probably takes up every square inch of your heart and then some. 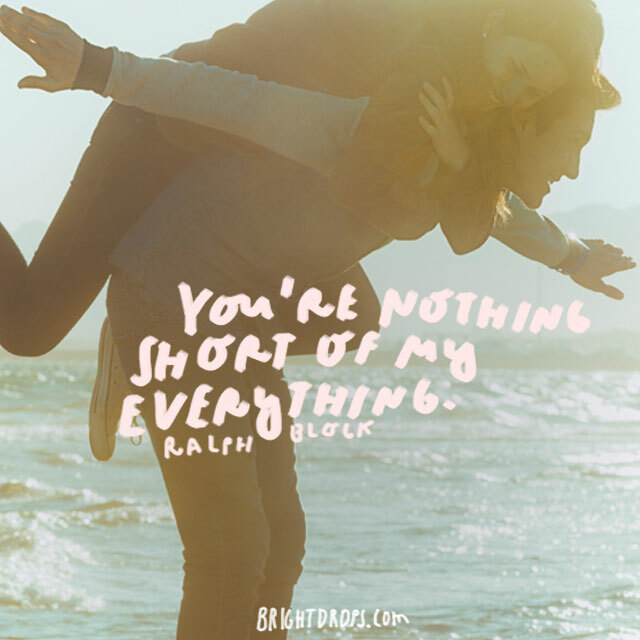 The next time he questions your love or is having a hard day, let him know he is your everything. When you finally opened up your heart and gave it to him, you made a spoken or perhaps unspoken declaration that it was now his. He cares for it and cherishes it so re-declare every day that your heart is his to keep forever. Do you feel brighter and happier when he is around? Just as the sun warms the earth and provides nutrients for its inhabitants, his love warms your heart and nourishes more very being. Make sure to reflect that sunshine back to him so his world is brightened by you as well. 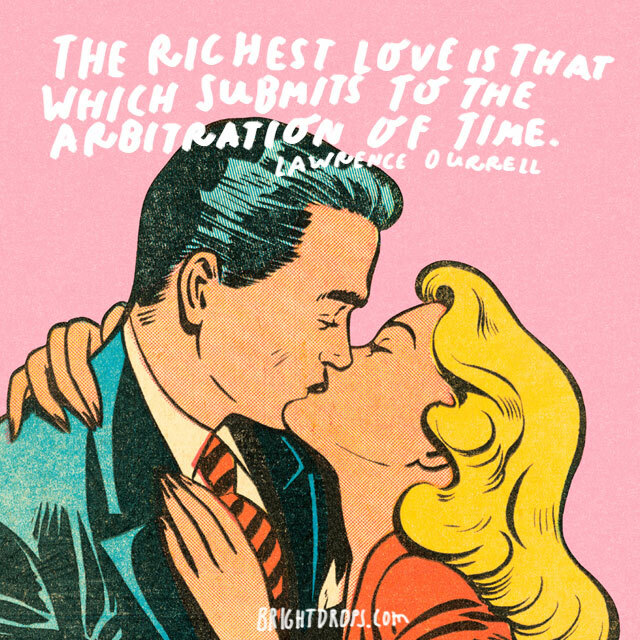 Love is a subtle and often silent power that does not need to be rationalized, spoken about, or inspected. Love starts as a feeling and grows from there. The next time you have an argument, stop and just hug him to let your love understand his love beyond words. Love is the great expander. Your heart deals with warmth at first and then grows into a raging fire that spreads throughout your whole being and stretches you inside. It can make you feel bigger, braver, and happier than ever before. Cherish that feeling. He is probably the best part of both your good days and bad days. However on your bad days, his love for you awakens you and refreshes you. 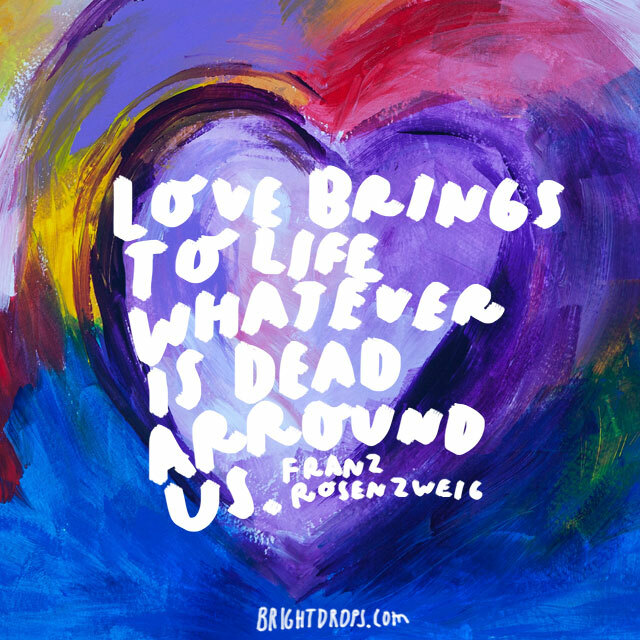 With love we are able to bring things to life inside of us that have been dead before. Love nourishes. When you look up at the stars and see them shining so brightly you’ve probably had feelings of awe. The smile from your lover is another one of those beautiful sights to invoke awe within you. 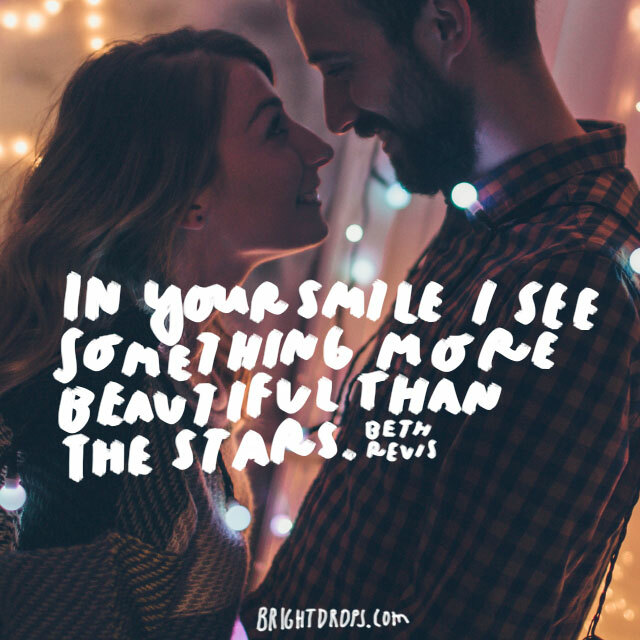 Make him smile as much as you can see you have a beautiful view every time you are with him. You love him so deeply; it’s almost as if your love for him is the very thing that makes your heart beat and your life worth living. 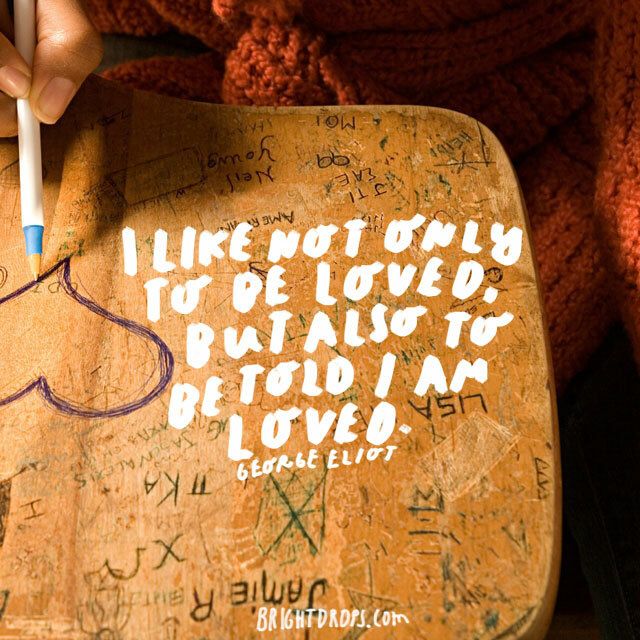 Let him know that he means so much to you and reaffirm your love for him today. It’s often easy to disregard things that seem like minor coincidences, but serendipity often disguises itself as coincidence. When you look at all the little things that brought to you and him together, I’m sure you can see how they all came together to support your union. Being a lover isn’t just about being really good at sexual intimacy, but intimacy in general. If he kisses your forehead and sends butterflies to your stomach, or fills your heart by holding your hand or stroking your hair, then you’ve got a great lover indeed. Love makes us feel safe and secure since we know our hearts are being cared for. It infuses us with passion and motivation to do better, be better, and love better. Use this time to stretch, grow, learn and spread your wings. Feel yours soul awaken. Love is always worth something but to love and have it be returned is one of the greatest feelings you can experience. When you have someone that reflects love back to you every day then your life flourishes. You can love without being loved in return but it’s always much better when you are. Though it seems impossible at times, you will love him even more tomorrow. When it seems that your heart is stretched so full that you could not love him anymore, the next day brings further opportunities to love him that much deeper. The longer you are with him, the more you will grow to love him. 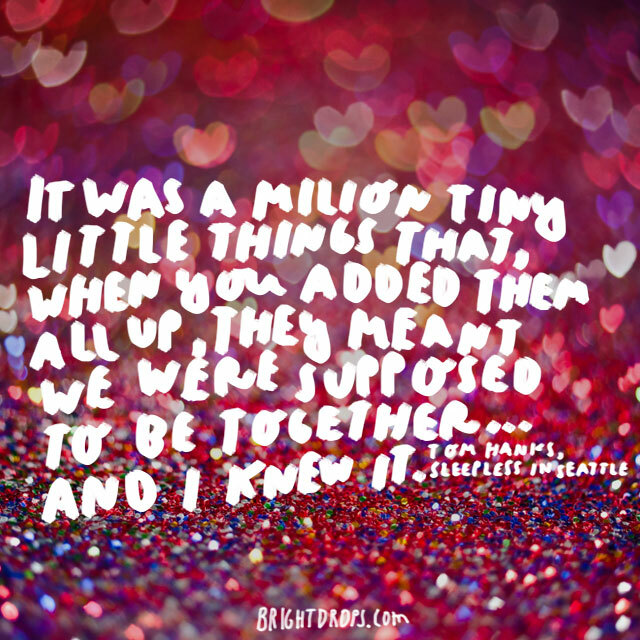 This is one of the most romantic quotes from a movie that you can probably relate to. No matter how much time you have had together, you most likely would rather spend that time together than have lived this entire lifetime without him. Make sure he knows this. When you met him you probably put him on a pedestal and thought he was absolutely perfect. 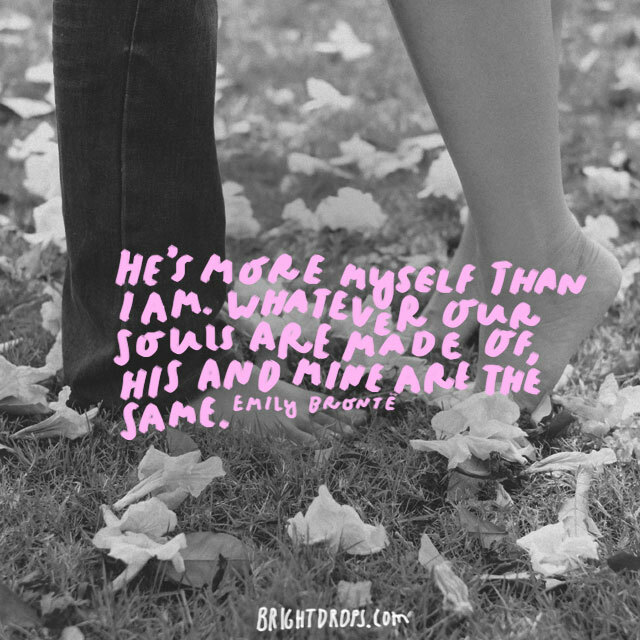 He still is perfect for you, but the more time you spent with him the more you realize just how human he is. And you love him even more for it because he loves you for how human you are. 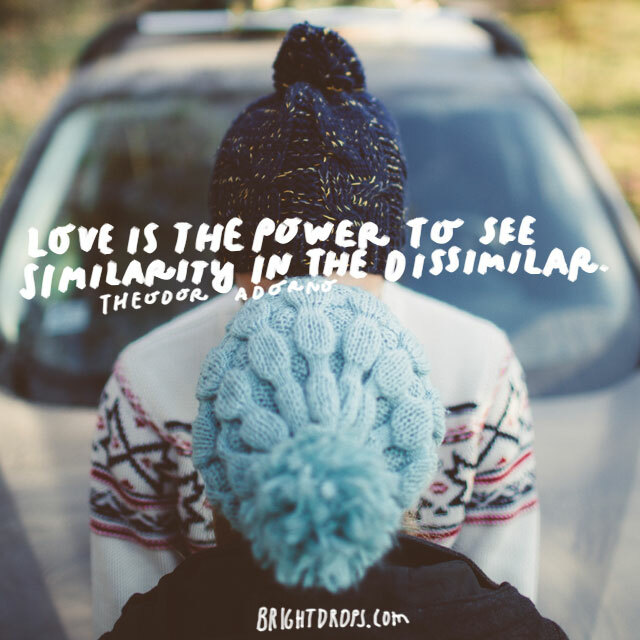 Do you have a kind of love that feels almost like a twin? You think alike, speak alike, and can finish each other’s sentences? That kind of love can be easy and smooth because having so much in common makes life easier to live together. Twin souls you are. 29. Dr. Seuss Says Stay Awake! When your dreams have finally come true in your waking life, it can be very hard to spend time away from each other even if the body needs it for sleep. 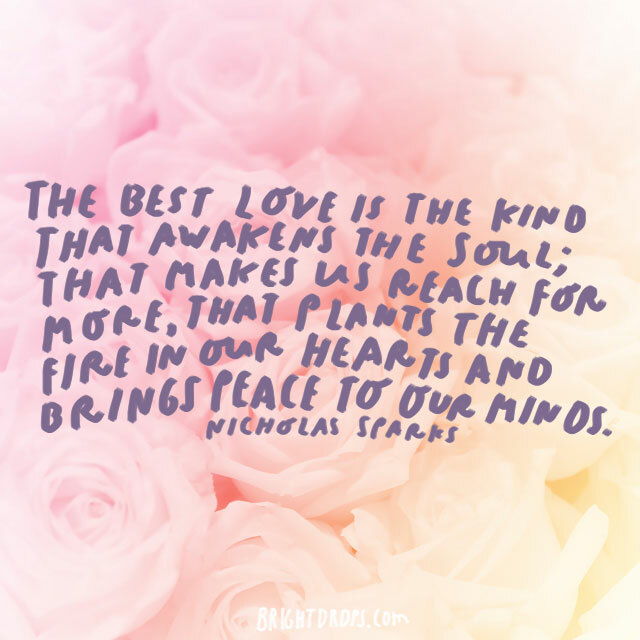 Be grateful that you have awakened to love, but make sure you get plenty of rest. 30. Edgar Allan Poe Asks if Your Love is More? Is your love more than love? 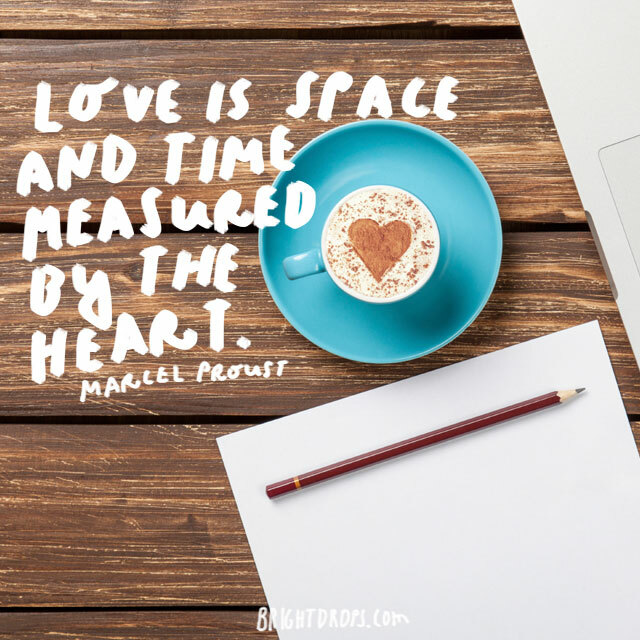 If it is a love that seems to go beyond space and time that is held together with the strongest of bonds, then your love probably is more than a simple kind of love. If this is the case then make sure to treat it tenderly. 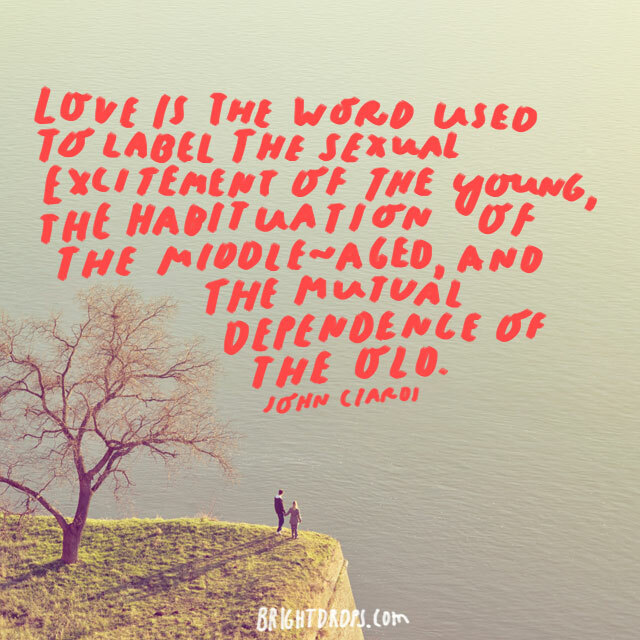 Why do you think the phrase is, “madly in love”? 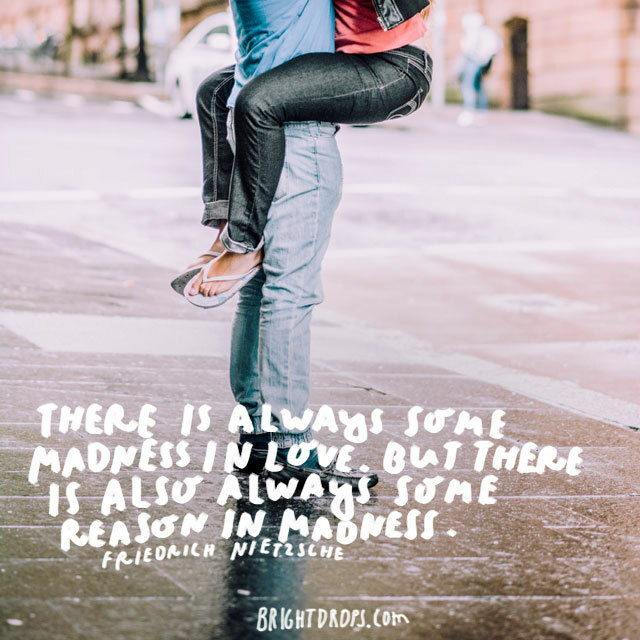 There is always madness in love, but beneath the madness there are reasons for it and the biggest reason is that your heart is full of him. It may appear to others like you are crazy but you are just crazy in love, that’s all. 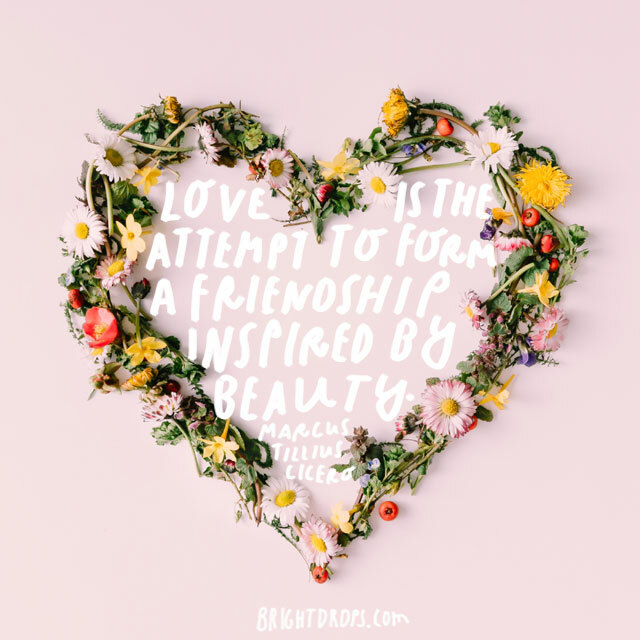 Regardless if you were friends for a few days or a few years before you connected romantically, that companionship has helped sprout your romantic love.No matter how long you’ve been together make sure that you stay friends and lovers always. This will make your love that much stronger. 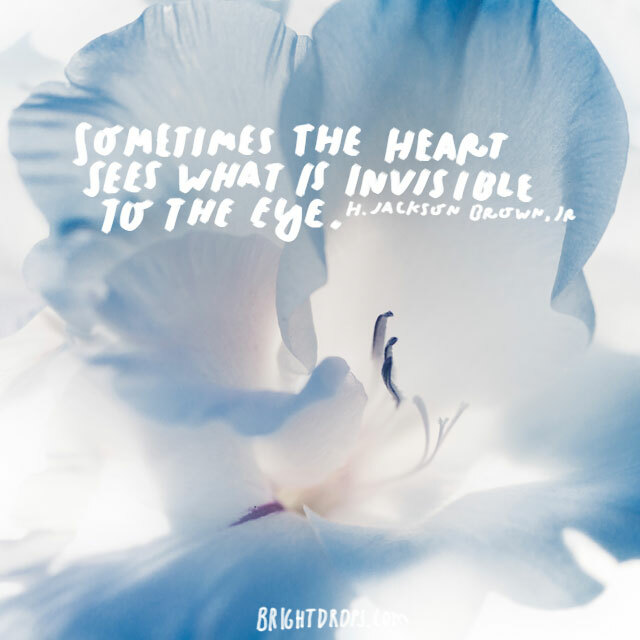 The heart is very perceptive. It can see beyond the masks we wear and the things that we say sometimes. Love doesn’t often make sense but our heart insists that it is for us and we must follow our hearts to love and be loved in return. 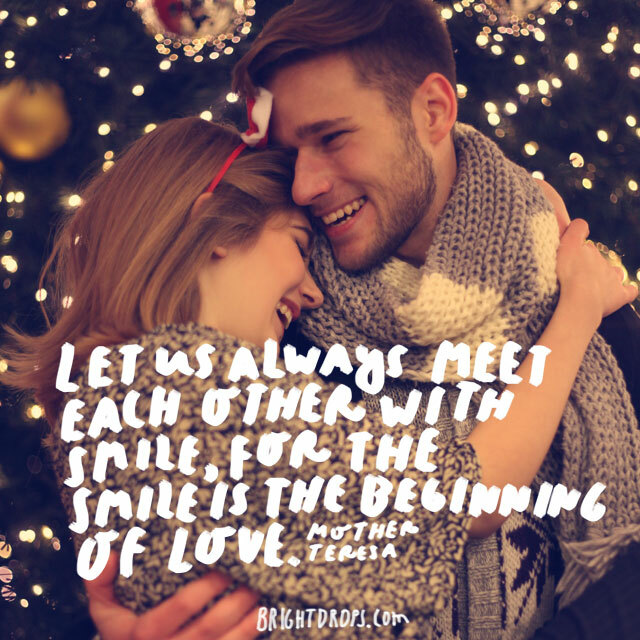 This quote works for with anyone that you might be coming into contact with, but make sure you greet your lover with a smile every time you see him. This sets the energy and the stage for a more loving interaction. Not to mention, he probably thinks you’re beautiful when you smile. 35. 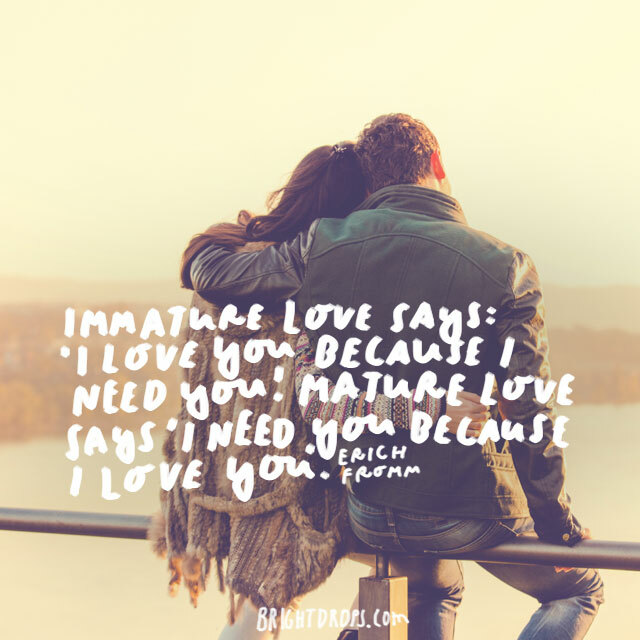 Erich Fromm Asks if You Have Mature Love? That immature love comes more from insecurities and fear. But when you need someone in your life because you love them so deeply, that’s a different thing. That is more authentic and true. You don’t need him so you love him, you love him and need him because of it. This is so very true. 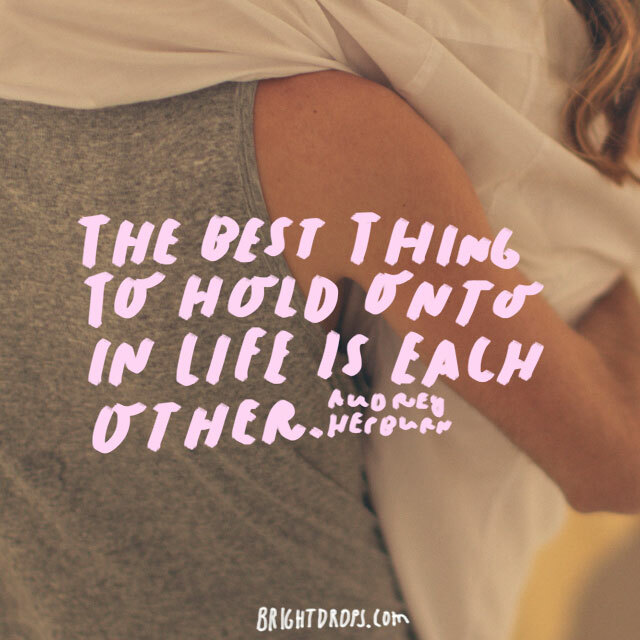 No matter what is happening in your life or what is going on around you, holding onto each other will keep you comforted, supported, and sane. Make sure you don’t take him for granted and hold onto him tightly. Be there for each other in times of need. When someone loves you deeply it can instill a sense of safety and security. You know that you have someone to fall back on when you need to. It infuses you with strength. Then on the flipside, loving someone develops courage because you’re giving your heart away and there is a vulnerability to that. 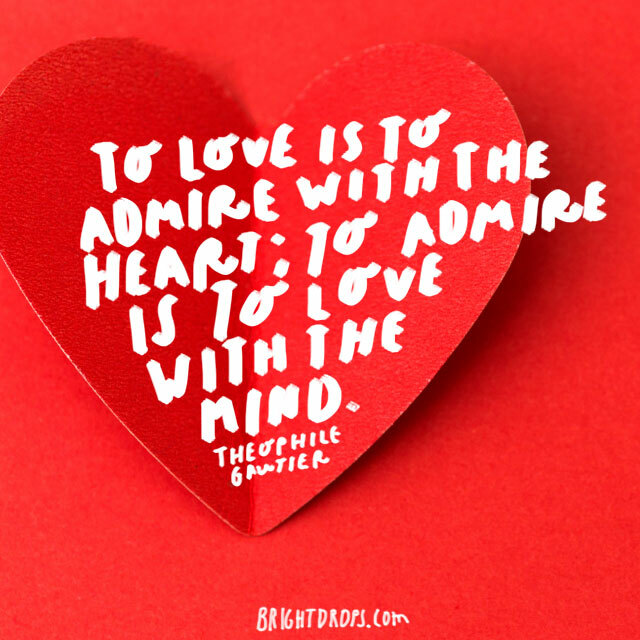 There are many quotes about loving and being loved as a great dichotomy. Love cannot be complete without having it returned. If you’re lucky enough to love him and be loved by him, then cherish the warmth in your heart because of it. 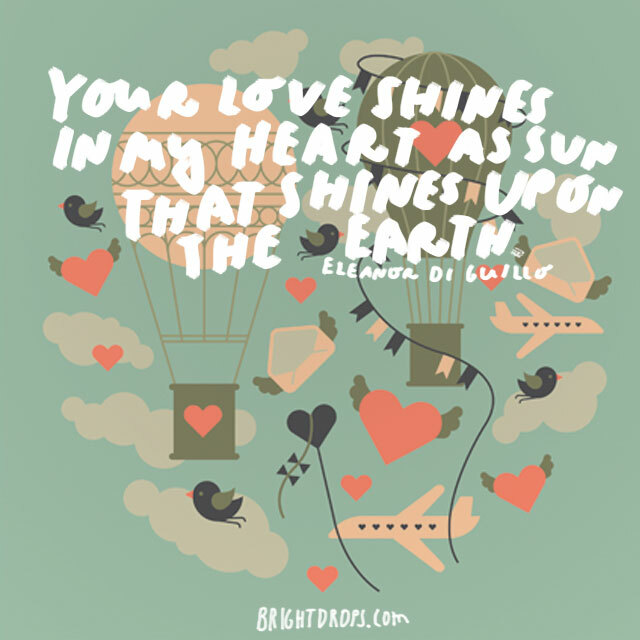 His love is like sunshine to you. Love his life giving. It lightens hearts and gifts hope to those in despair. 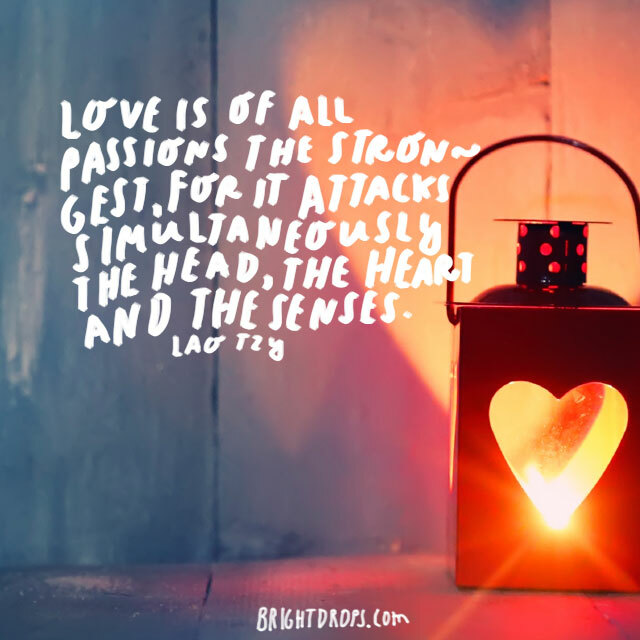 Love infuses us with passion and joy. It nourishes all things that need nourishing. So go nourish your love for him today and spend some quality time with him. 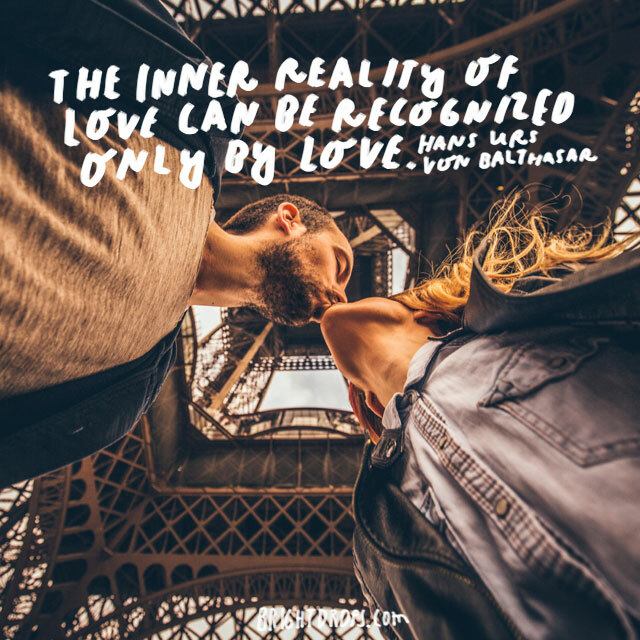 See what you can bring to life in each other. The world will go round after you and he have left this Earth, but loving and being loved makes this earthly experience some much more worthwhile. It’s like the saying it is better to have loved and lost than never to have loved at all. 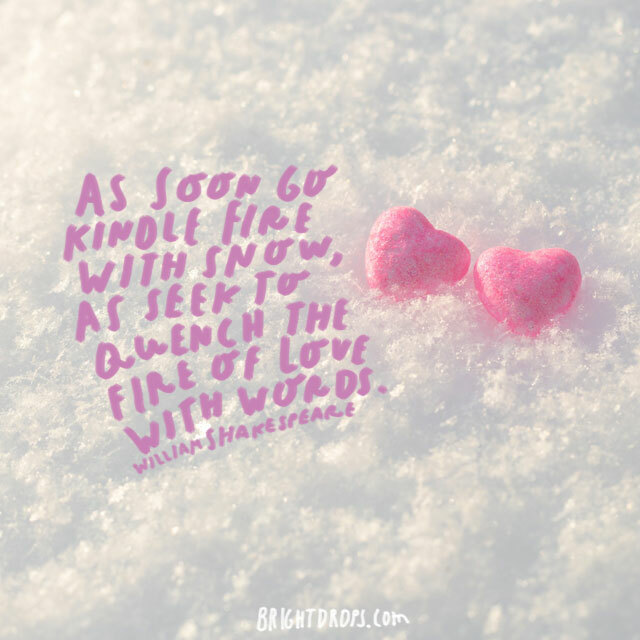 You cannot put out a fire with snow, that’s pretty obvious. But what Shakespeare was touching on here is that you cannot talk someone out of love simply with your words. Love is a feeling that cannot be influenced by anyone but ourselves and the one that we love. Try this quote on for size. 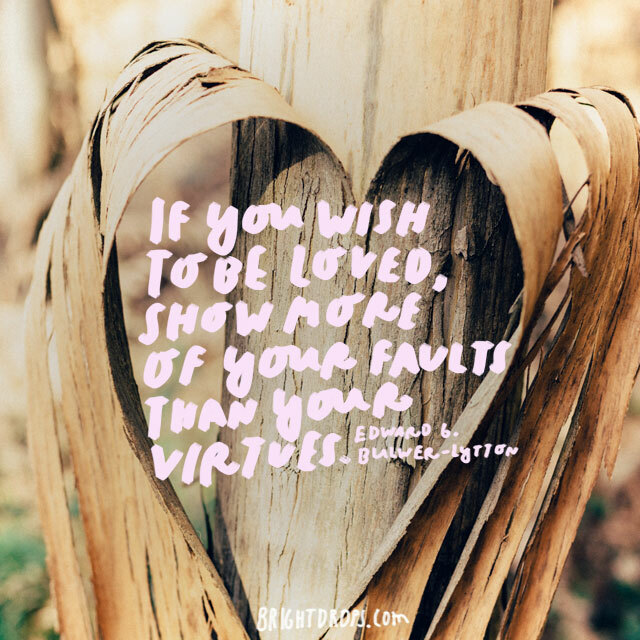 We think that being worthy of love means that we have to be virtuous and polished all the time, but that is simply untrue. Someone who truly loves you will love you in spite of your shortcomings. So if he loves you this way, make sure to thank him for it. We all have a desire in our hearts to be loved and wanted by someone. To be irresistibly desired feels nice and is fun.If he desires you then show him how much you desire him as well. Or make a game of it and make yourself irresistible on your next date night. Wink, wink. Have you ever been listening to him speak and you find yourself having a hard time listening because all you want to do is to touch him? Use a kiss next time and that will shut him right up! 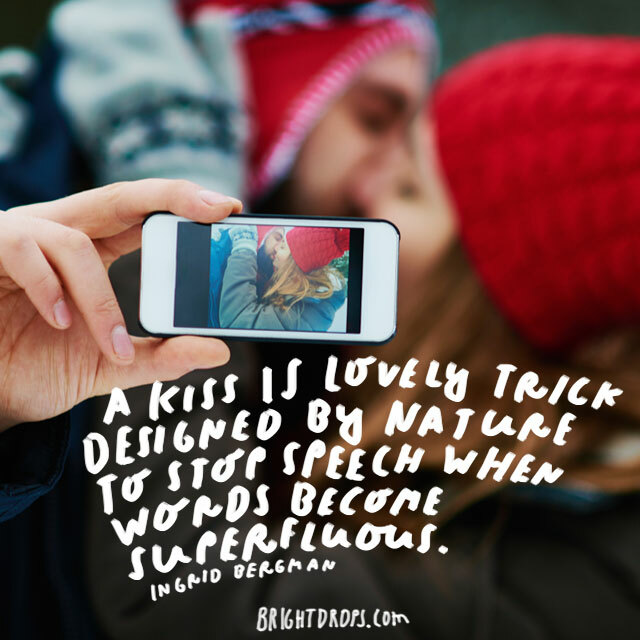 If you’re arguing or he’s on a tangent, use a kiss to silence and distract him. A fool feels infused with power and strength when in love; it makes him feel wiser and all knowing. 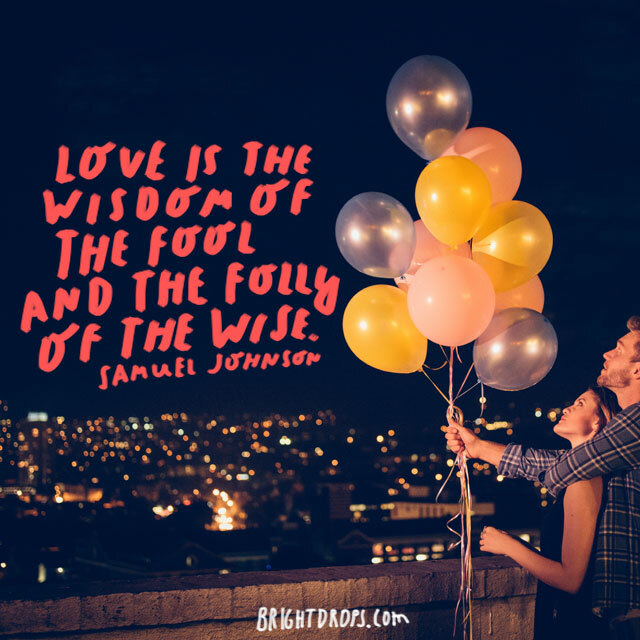 Though very wise find love as something that makes them feel foolish and unsettled. 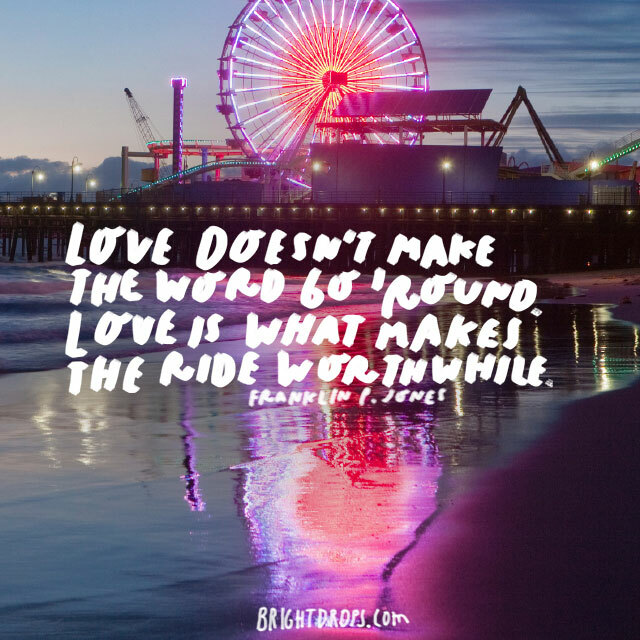 Love certainly does have its way with us, doesn’t it? It’s funny how it works out that way sometimes. When you are together for a good deal of time, it’s like you start to pick up each other’s personality traits. The love in you recognizes the love in him and you see yourself in him every day. It’s nice to have someone more like yourself from time to time. 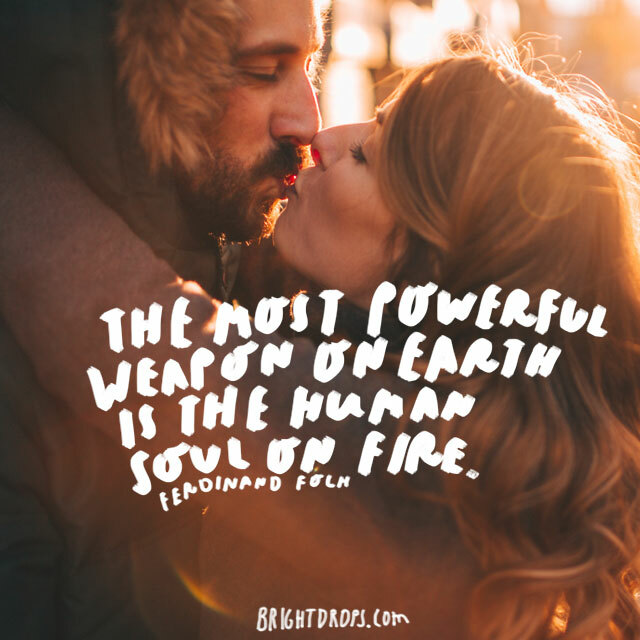 And love is what sets a human soul on fire. Loving deeply and being loved deeply in return, as well as spreading love to everyone in your life are some of the most powerful things you can experience. If we all could spread this love, our world would be a more peaceful place. It’s wonderful to receive something from the love of your life that you never knew you wanted or needed. He touches your soul in a way that you never thought anybody could. This is kindred and fated; he is brining you a piece of yourself you didn’t know you’d lost. Being in love is like a drug, which makes us distracted, giddy, and nervous all at the same time. But is it a wonderful feeling? Waking up in the morning knowing that you are deeply in love with him and knowing he loves you as well? Even if it was passionate love at first sight, it is still an essence that you have to let grow. 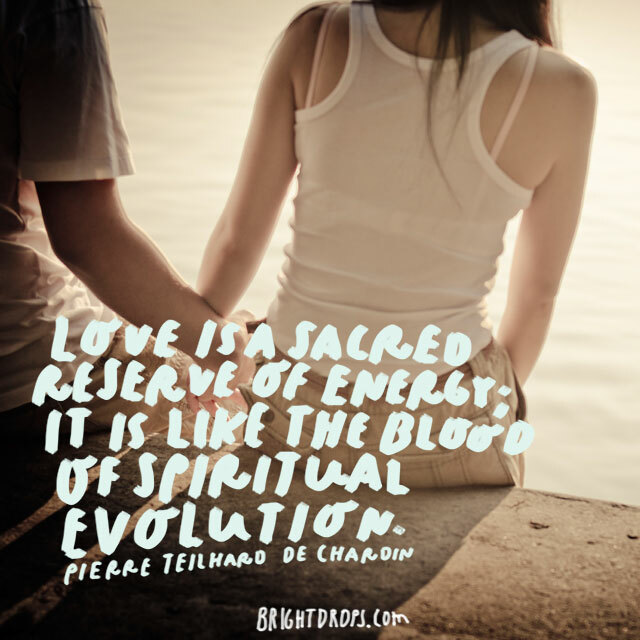 Love is constantly morphing and changing as our lives morph and change every day. Make sure to cultivate your love just as you would a beautiful flower. Nourish it, protect it, and cherish it. 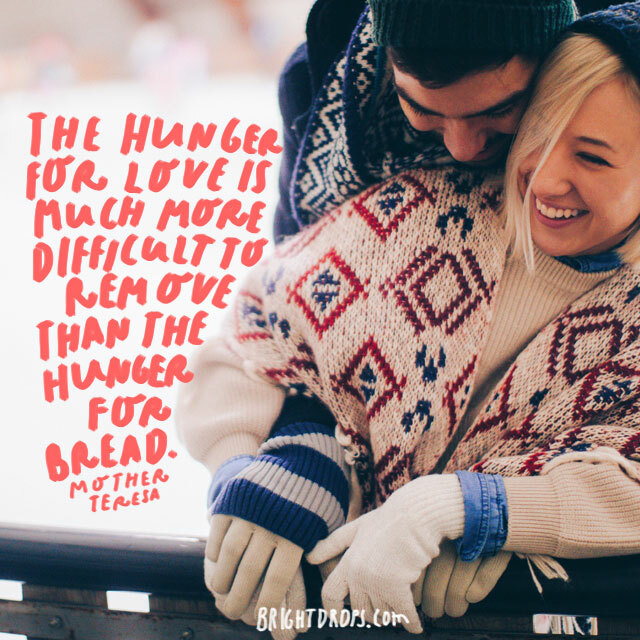 Having a hunger for his love probably feels like hungering for actual sustenance. You love him deeply and it might feel that if you go one day without being near him that you will wither and die. 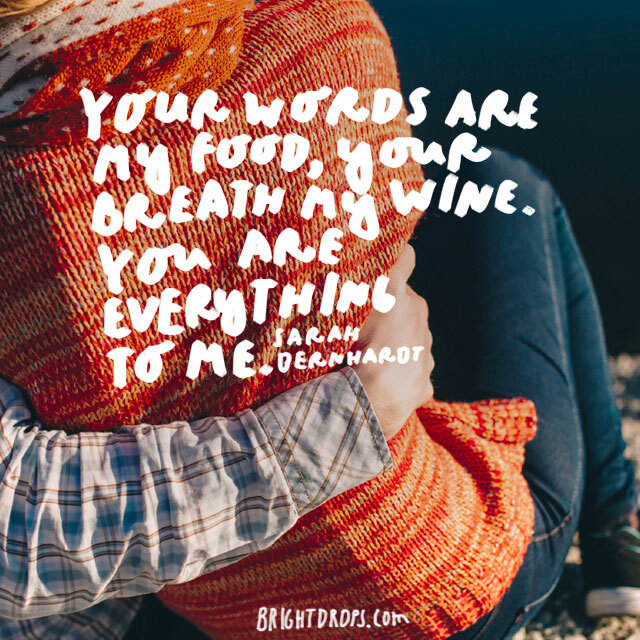 Let him know that he breathes life into you and hold onto him tightly. You can see his face clearly with your eyes shut; you would know his face simply by touching it. Just as a sailor becomes familiar with the sea, you are so familiar with the look of him, the smell of hi, and the touch of him. Revel in him and let him know how much you care. It does not matter how far apart you are from each other, or how many borders exist between where you both are. The love you have for each other is just as strong as if you’re sitting next to each other. If you are apart, look up at the stars and know that you both can see the same ones. Love is a very messy process. It is often a battle and a war within us to overcome feelings of fear, vulnerability, and inadequacy. But once you immerse yourself into love and embrace all of its elements, it most truly is a part of the growing up process. 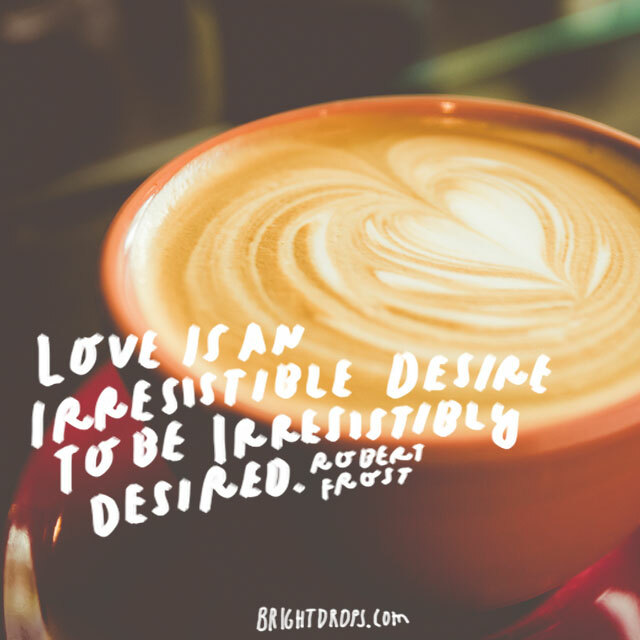 Being persistent in loving someone is quite an accurate description. Love takes work. 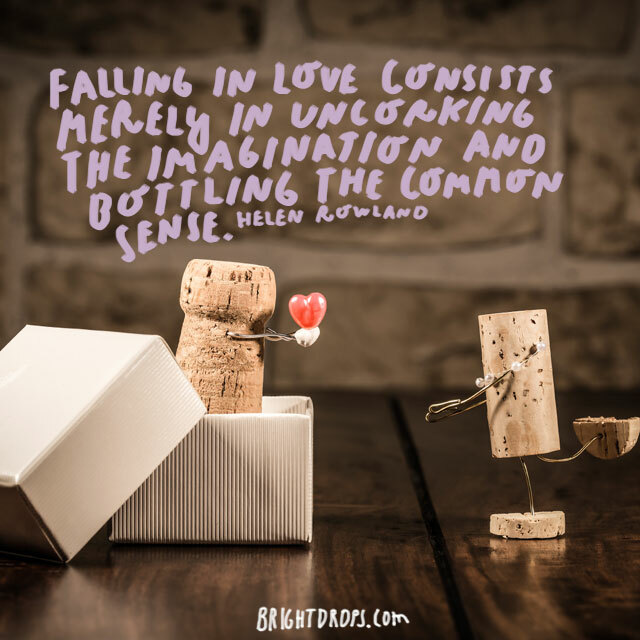 Often when the honeymoon phase is over and you see your lover’s faults, as well as dealing with the ups and downs of life, continuing to stay in love takes your persistence and dedication. Why would anybody want to cure love in the first place? The best remedy is to go out and love even more people, as well as yourself and keep on loving. Though many of us have been hurt in love, it is part of the risk. 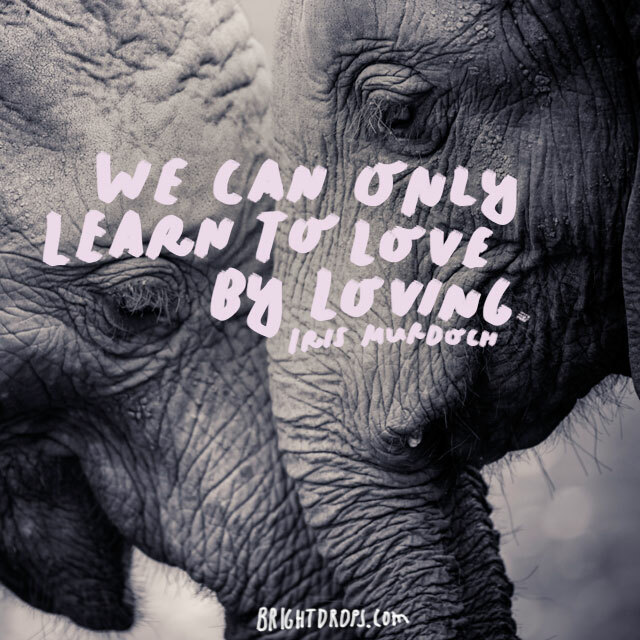 Continuing to love only allows you more opportunities for love in your life. At first it seems that love consists only of gazing at each other, but as you build a life together you’ll both look ahead and build your future. Standing side by side, you and he are a team. Make sure you remember that on the hard days. Life can be very short, so if you have someone in your life that you love deeply, keep loving them and do not let them go. Love is precious and when we find it we must treat it as such. Don’t take it for granted and always express gratitude for the love you’ve found. 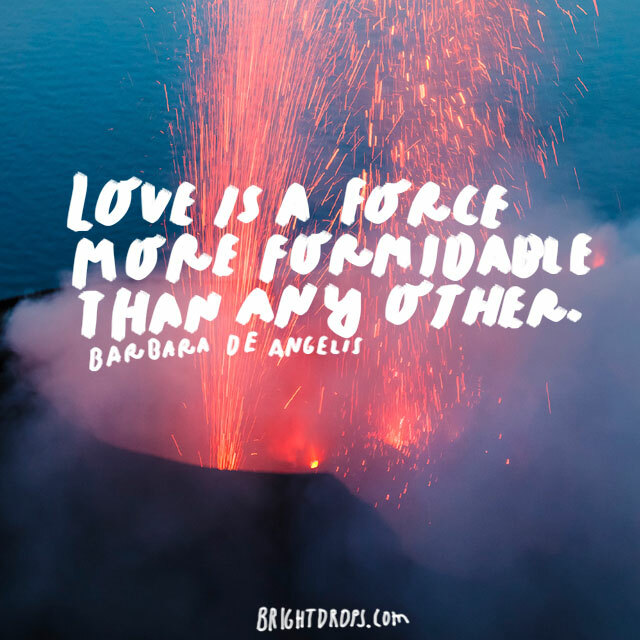 Love is such a powerful force. 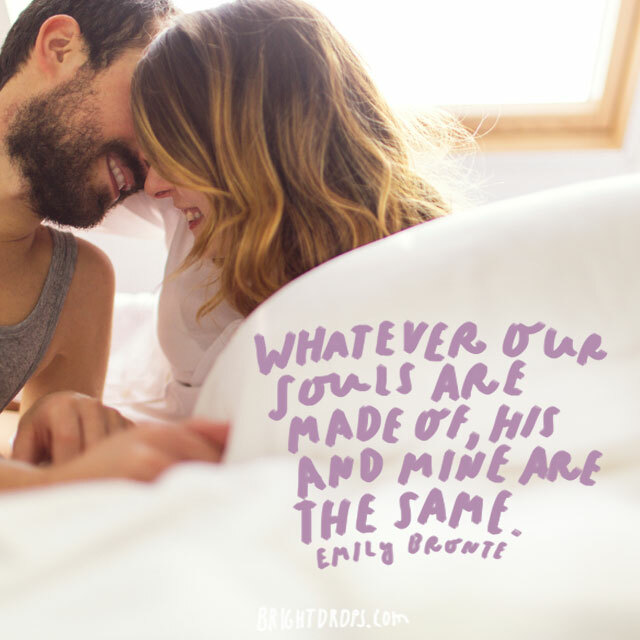 It shakes us out of our comfort zones and fills our mind with the person we love, it fills our hearts to the brim, and all of our senses become completely scattered. But that is part of the journey of love. 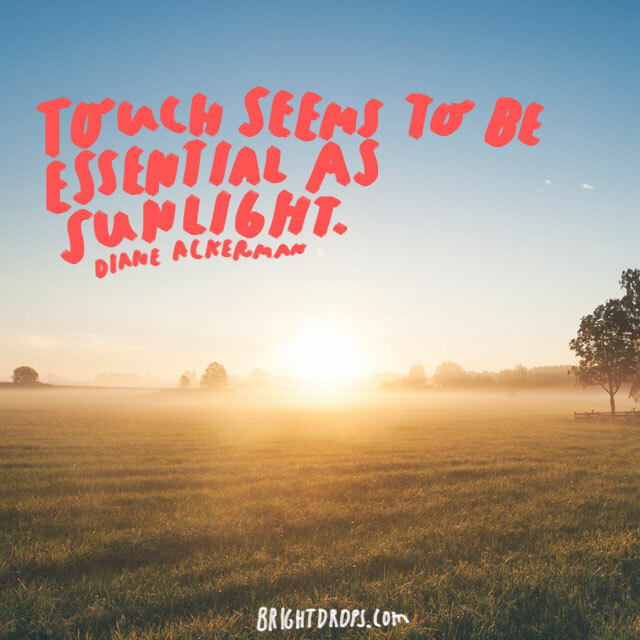 Some people prefer to be touched more than others, but the fact remains that human touch is comforting and healing. No matter your preference on touch, make sure that you reach out and hold your lover’s hand, hug him frequently, and cuddle him when needed. He’ll love you more for it. Being loved is a wonderful feeling, and we often take it for granted that those we love know we love them. Actually hearing the words and being told that someone loves you helps seal the deal and confirms what they already know. That can be a very comforting thing. Tell him you love him right now. Love often means reading between the lines and seeing beyond the masks. 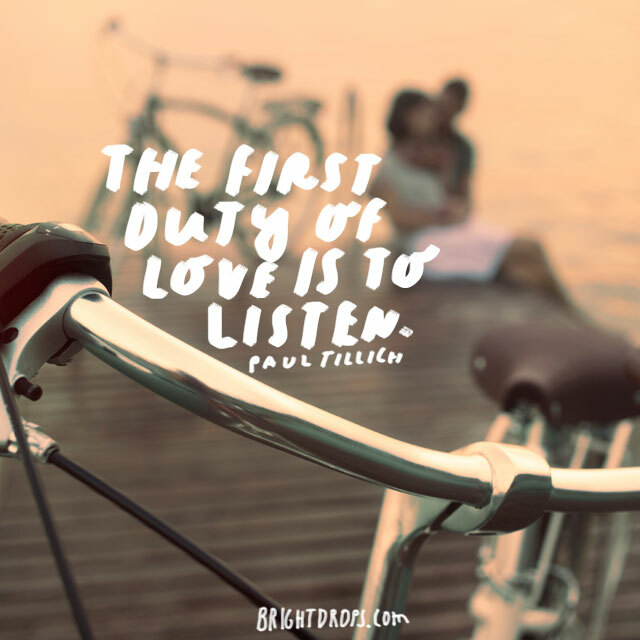 True love listens intently to the other. It listens for pain so that it might help ease it. It listens for joy so that it might celebrate with it. It listens for love so that it might return it. As with anything, we must engage in it and practice it to really learn it. If you love him but you are new to love, then be patient with yourself. 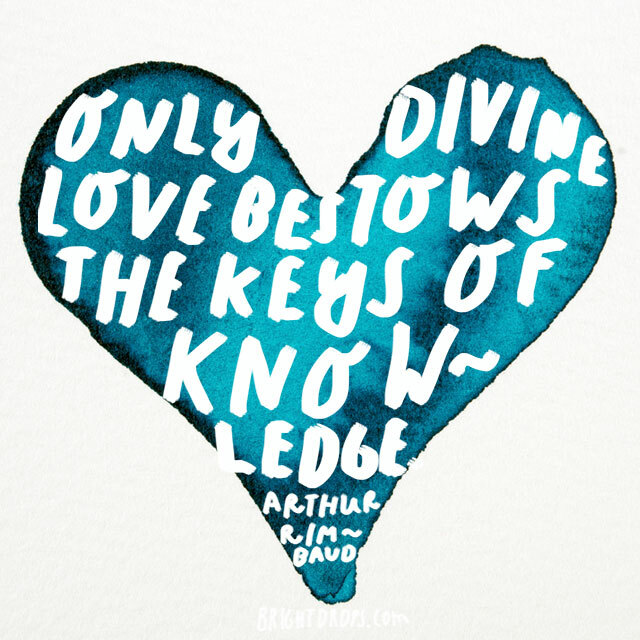 The best way to learn is to love him in all the ways that you know how and any new ways that you could learn. 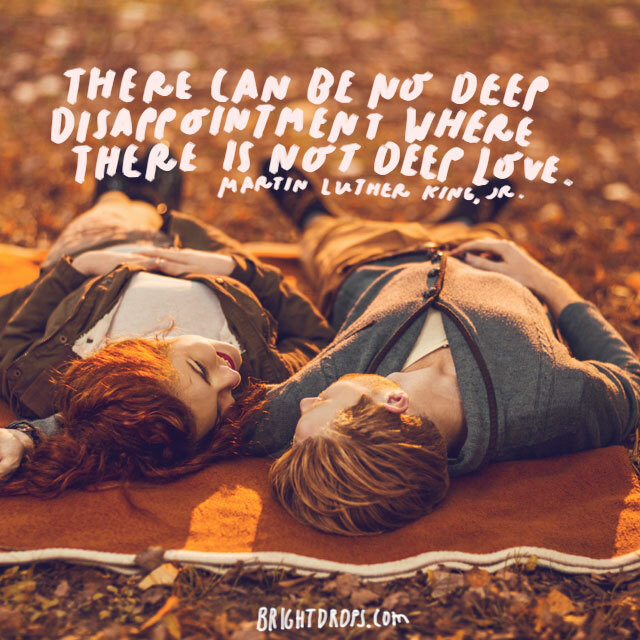 “There can be no deep disappointment where there is not deep love.” – Martin Luther King, Jr.
Loving someone means taking rest with your heart. When you love very deeply, you are at risk for being disappointed deeply. But that is the process of love. It might hurt from time to time but the benefits far outweigh the risks. You might be frightened to give your heart to him, but it’s worth it. Love is so incredibly strong that it can give mothers the strength to lift a car to save their child. It can give you the fortitude to get through the worst of times. Love is all encompassing and stronger than any of us give it credit for. 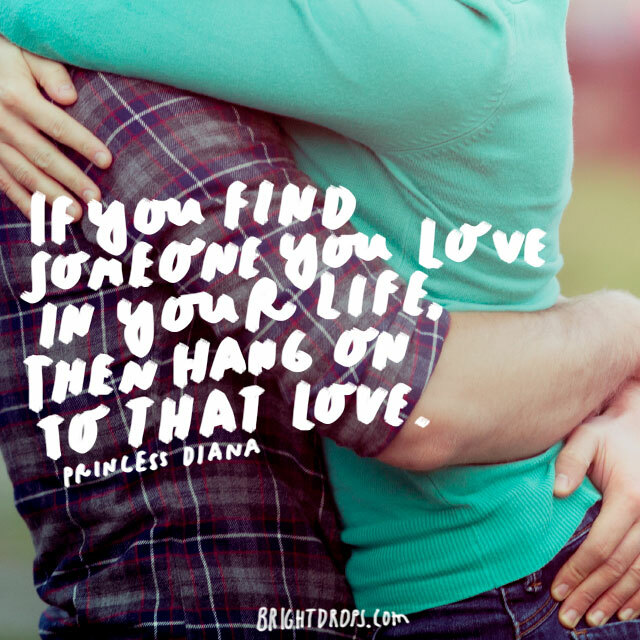 Although you might feel love, loving someone is really about how you show up and what you do for them. Love takes action and awareness. 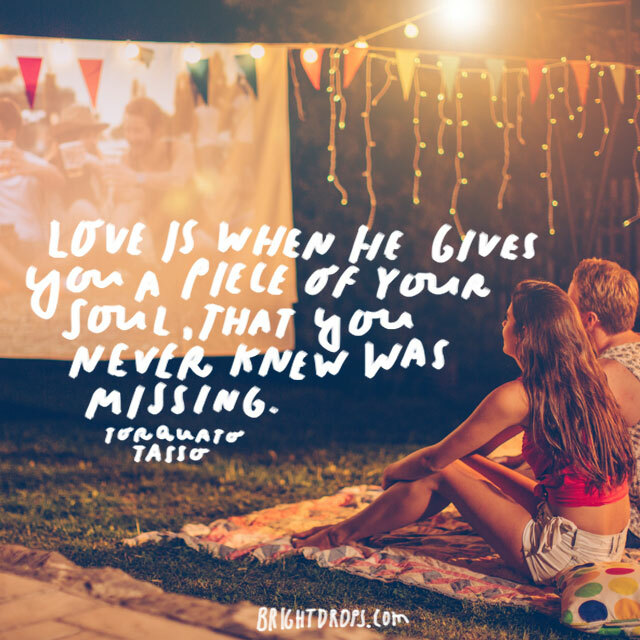 So if you have neglected him recently, make sure do something to show him how much you love him. Actions often speak louder than words. 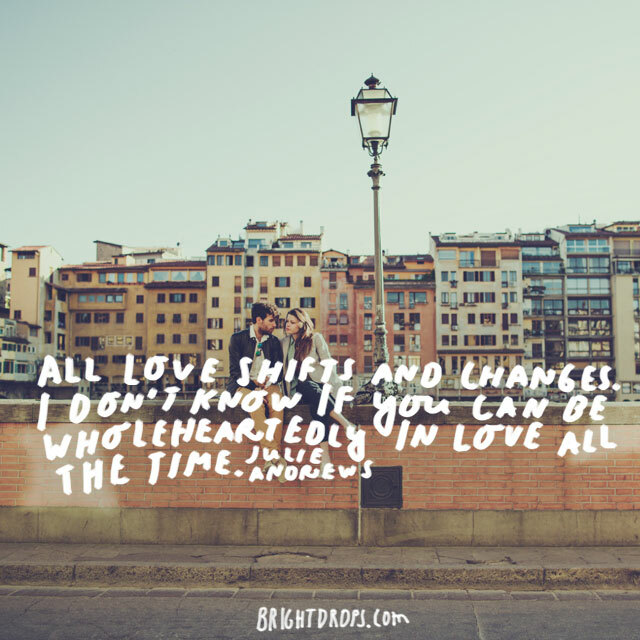 Love definitely changes people. It can make us think and act in ways that we would never imagine that we would. Love can bring us alive and heal the broken parts of us. 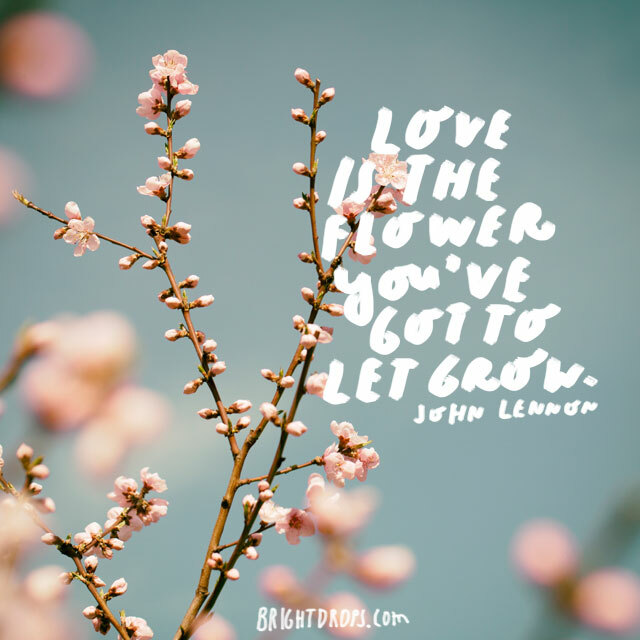 Take a look to see just how much you have grown within love, and let love change you into a better version of yourself. The universe is quite vast and the earth itself is very large. In the grand scheme of things we are but tiny blips in time and space. Being surrounded by such vastness and complexities of life is much easier to deal with when we love and are loved in return. Divine love comes with knowledge about things that you would never experience if you did not love him the way you love him. Love comes with the knowledge of how powerful forgiveness is, how comforting compassion is, and uncovers things within yourself that you never knew existed. Let love make you wise. It is unfortunate but also true that those we love often get the worst parts of us at times. Being very kind in love means that we tolerate and love people more than they might deserve. But we all deserve love. Even if he’s being a jerk today, love him anyway. This is a very good quote. 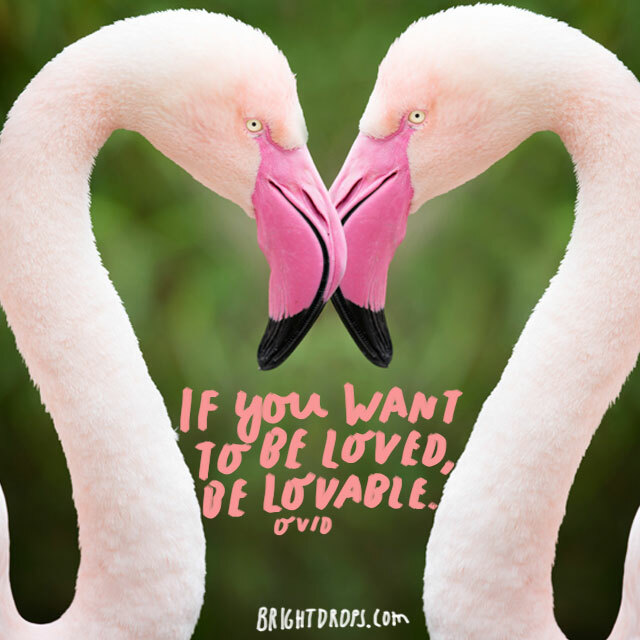 If we want people to love us, we need two ensure that there are parts of us that are lovable. 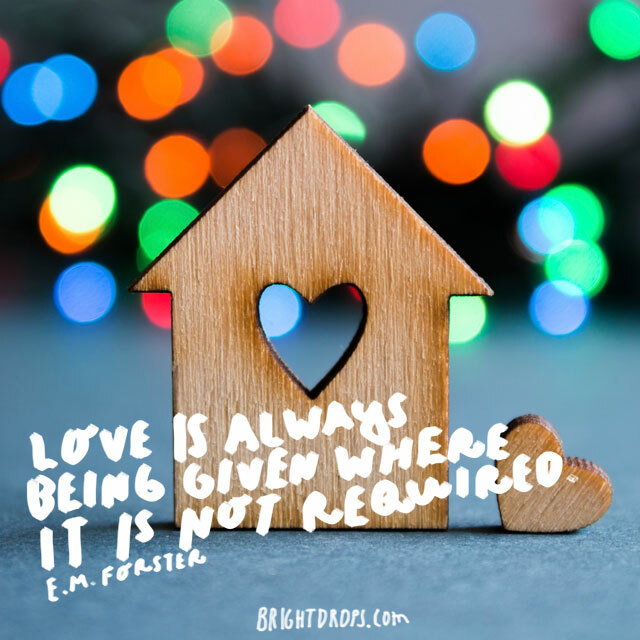 Bitterness, anger, and criticism do not foster love. Be the type of person that is easy to love. 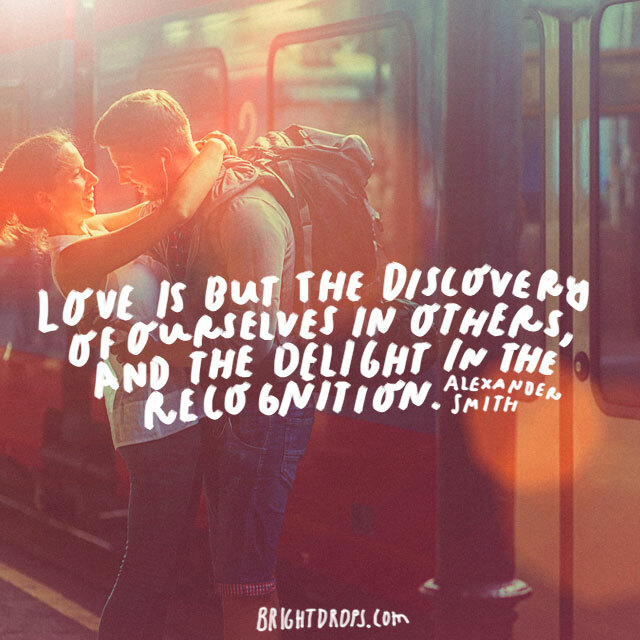 When you are, you find a love quite worth having in another. The beauty that exists between you probably floured and friendship and then exploded into love. It’s a beautiful process to behold. Make sure that you always see the beauty of him, keep cultivating a friendship with him and continue to love him each and every day. Most of us don’t really even understand the reality of love We just feel it and we know that it is there. But the truth of love recognizes the truth of love in others. 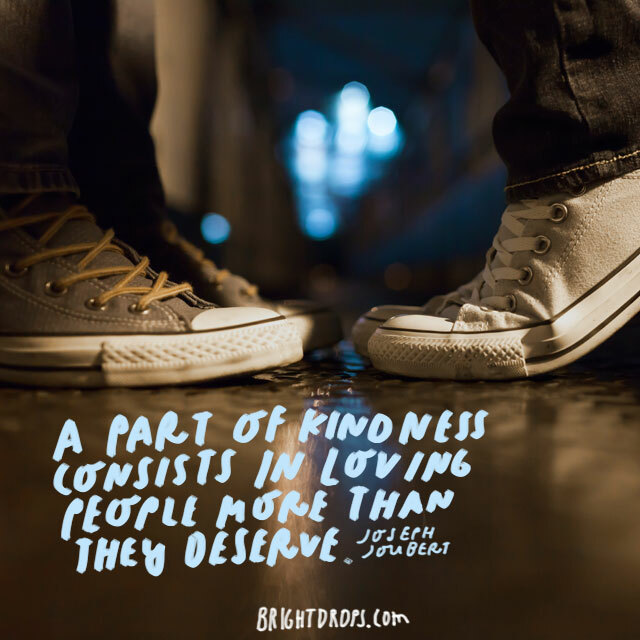 It is an unspoken recognition that draws two people together and is what sneaks up on us when we least expect it. Life could exist without love but it would be a bit empty don’t you think? 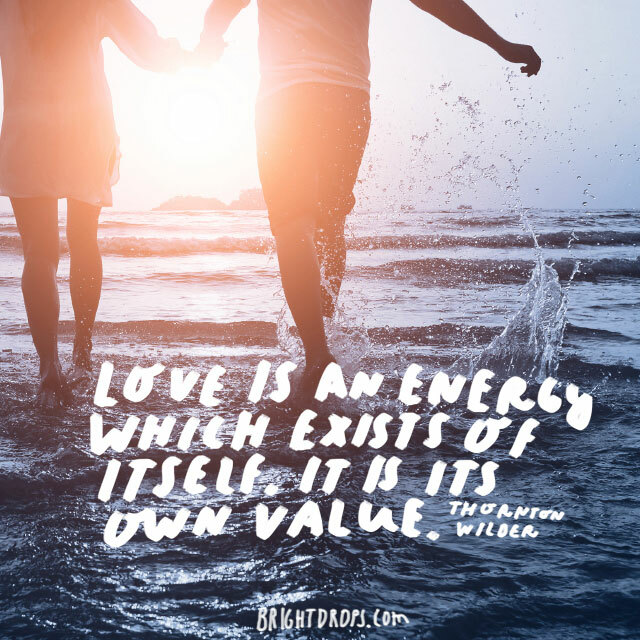 Love infuses us with energy and excitement, passion and desire. 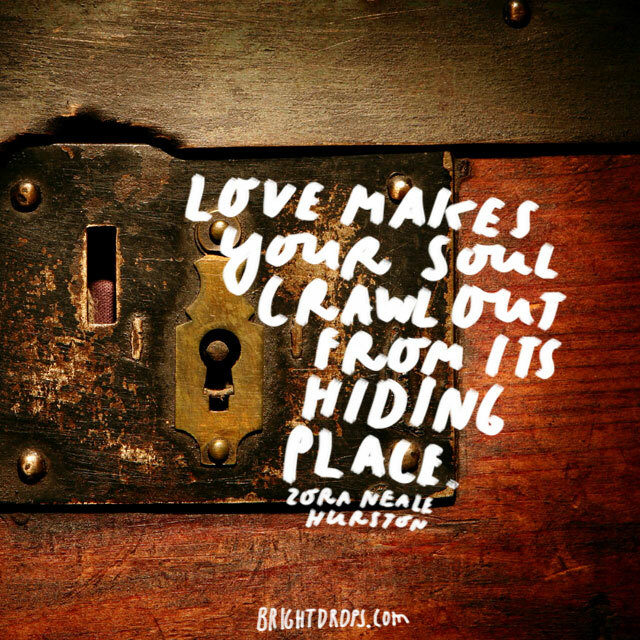 Love awakens the deepest and darkest parts of our souls. Love is life giving, nurturing and comforting. 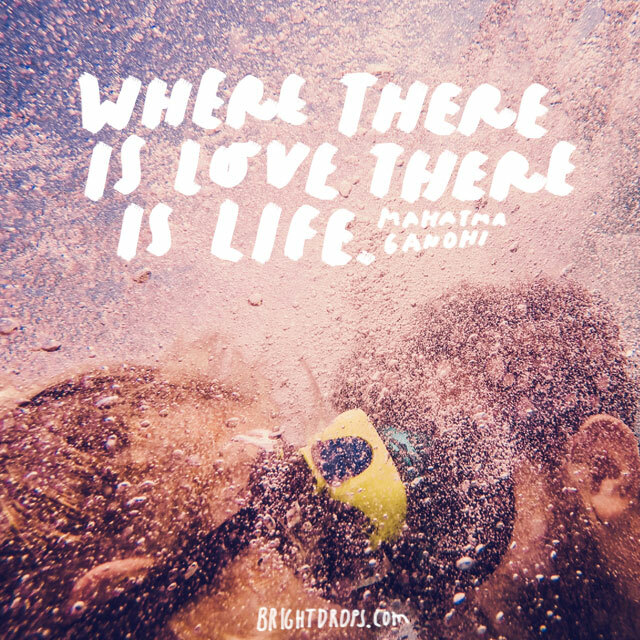 Indulge yourself with love! 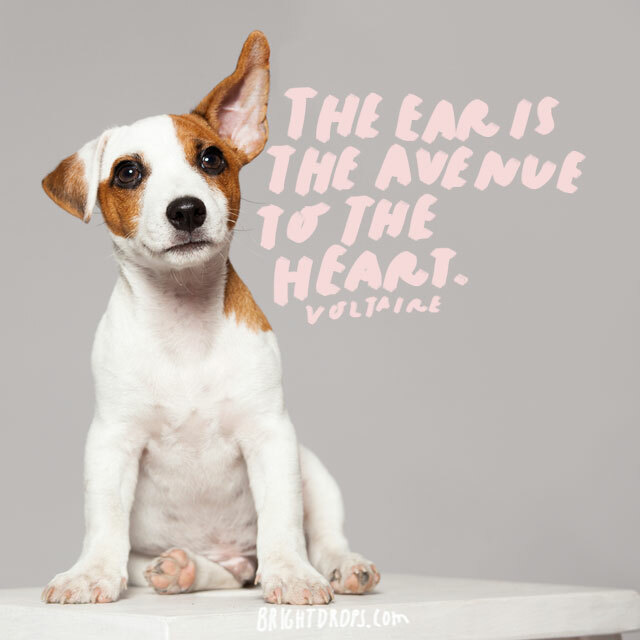 Use his ear to get to his heart. Make sure to express the love you have it for him in words. Tell him everything that you cherish about him and whisper sweet nothings. It can be hard to put into words the way you feel, but it can be extremely powerful. 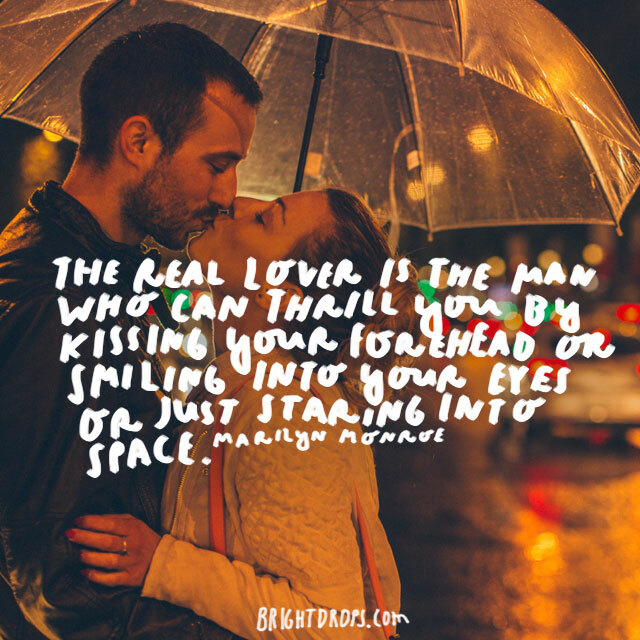 Has he ever stolen a kiss when you least expect it? Maybe he stole one at it an inappropriate moment that left you blushing. 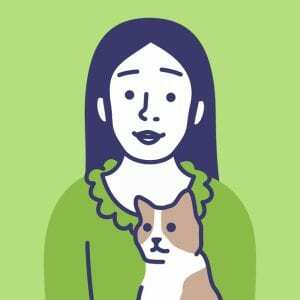 They are sweet, quick, and completely unexpected. Stealing kisses can be quite fun so make sure you go steal one from him today. 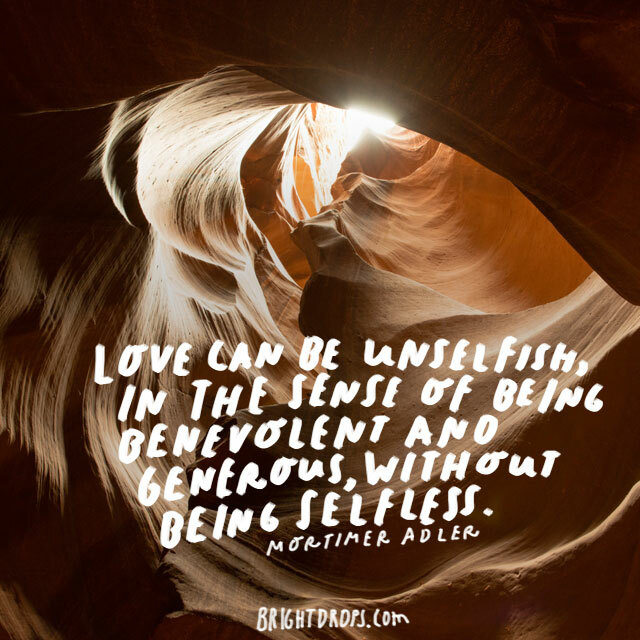 Love is extremely unselfish. It allows you to care for him and to give him things. 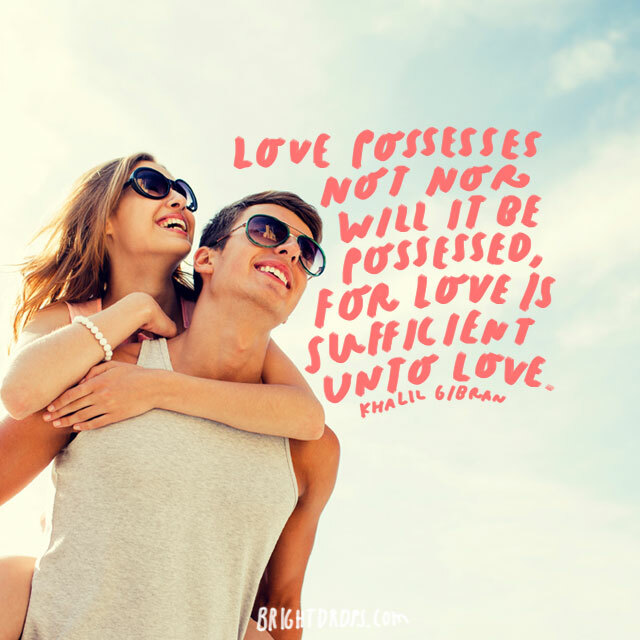 It does not come from you having no sense of self, but rather that you have expanded your view of love and are sharing it out of pure joy and unselfishness. You love him and he loves you. You both love each other so deeply that neither one of you could be replaced. It’s a nice feeling that you are so special to someone and that they are incredibly valuable to you. That is a precious thing so make sure you treat it as such. In loving others, we give ourselves more opportunity to be loved in return. 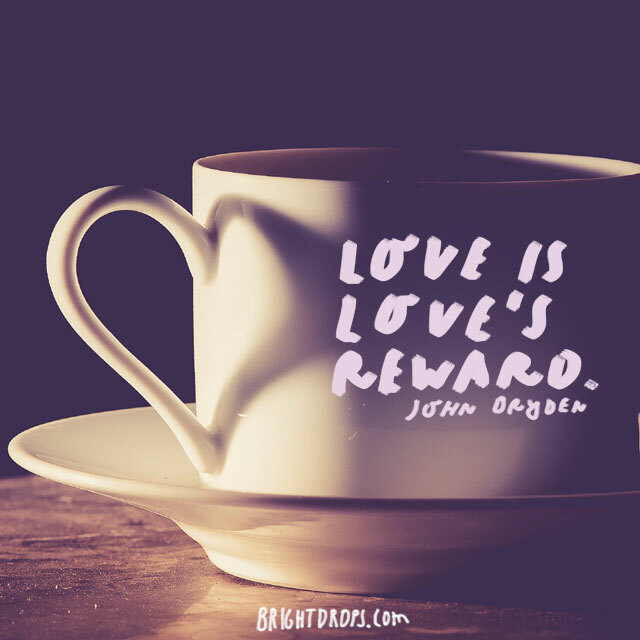 That is the reward of love. The more we love the more we get back for ourselves. What we put out comes back to us. 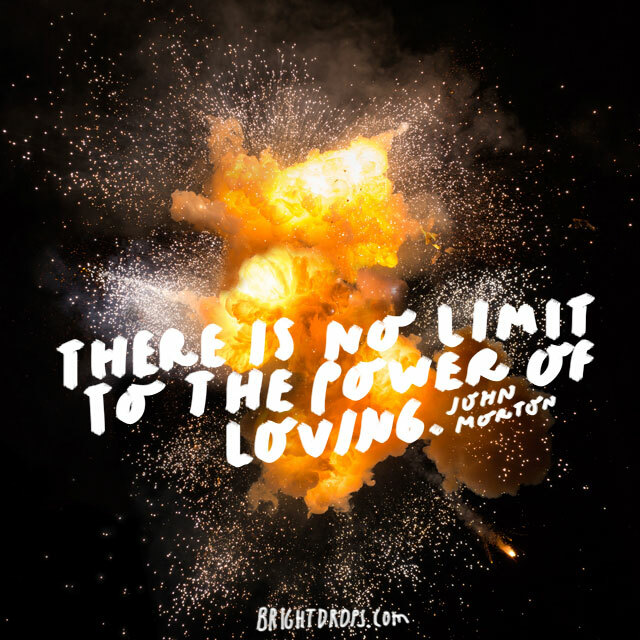 This is why love is so powerful, because it compounds and builds upon itself. 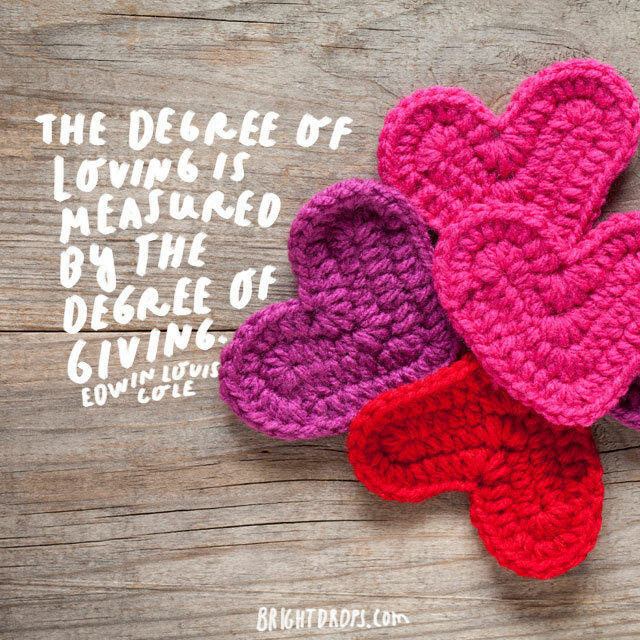 You cannot love authentically if you do not give. When you love someone deeply, it is easy to give of yourself without any second thoughts. So take a moment and think about how much you give the man you love and see if you can give him even more. 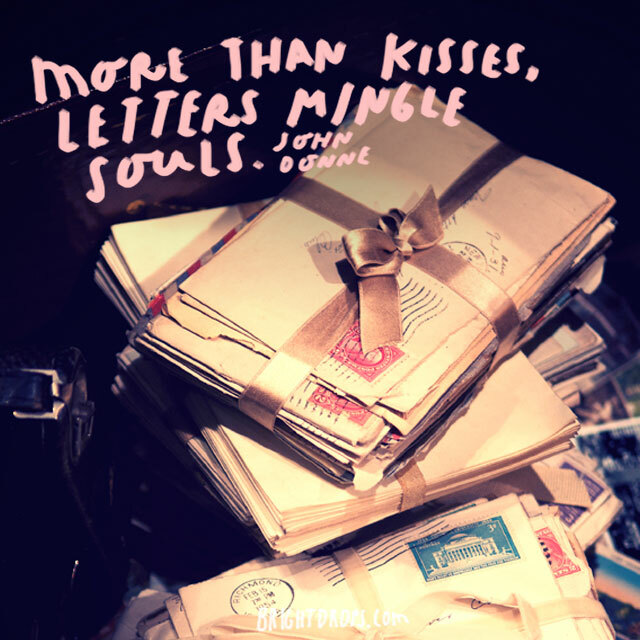 In this day and age the quote might read instead, “emails mingle soles.” Words and declarations of love become entwined in your hearts. 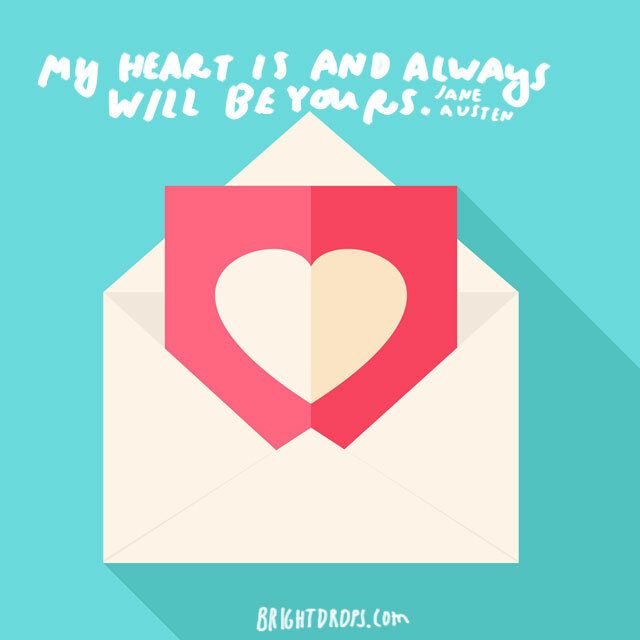 So make sure to send love letters as much as you can to keep declaring your love to him. Collect them and tie a red ribbon around them just for fun. You might have been resistant to his love, but when it showed up in your life there was absolutely no way you could avoid it. 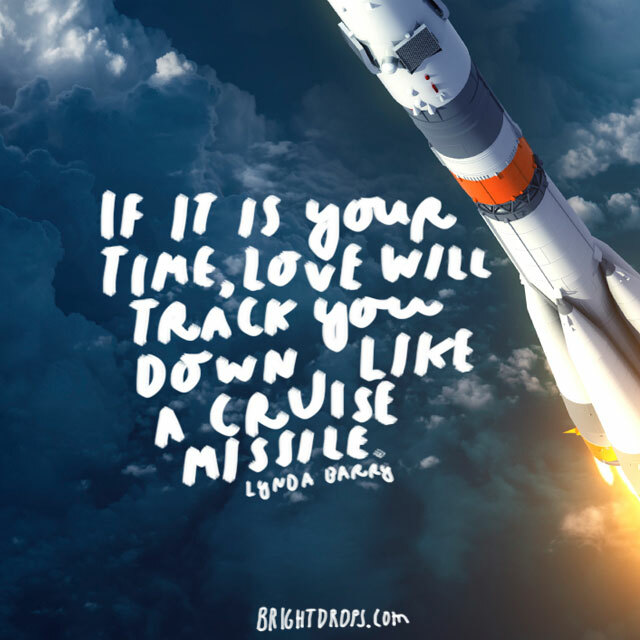 Just like a cruise missile, it found you and when it hit you, you exploded in love and tiny fragments of joy. 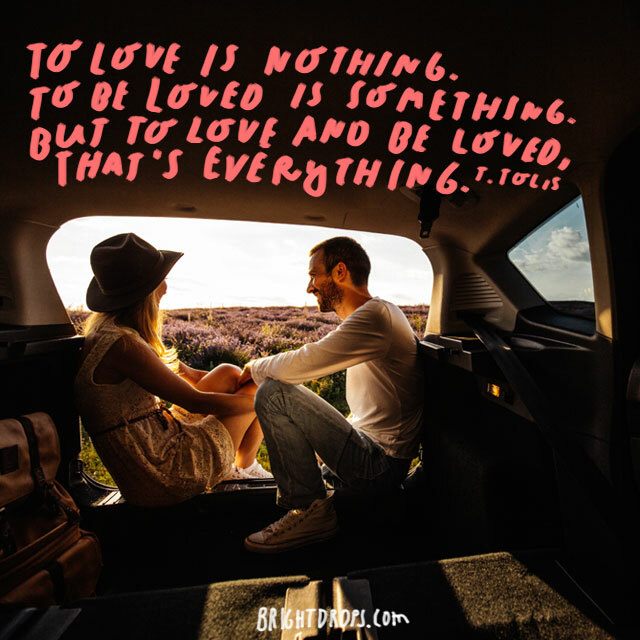 Love is not a thing for us to own, and it is not something that owns us. It might feel that way from time to time but love simply is. Immerse yourself in it, trust it, and enjoy it. Do not try to tame it or claim ownership of it, just enjoy it. 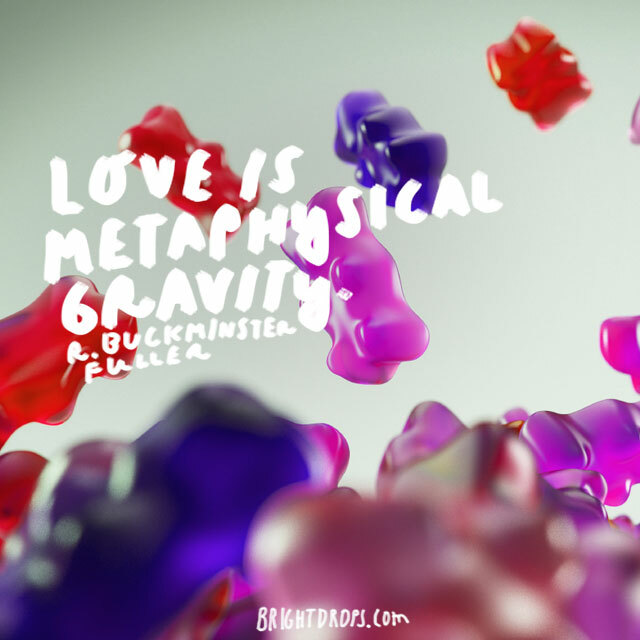 Although it might feel like your head is in the clouds when you are around him, love gives you some gravity. It allows you to sink into the deep parts of yourself as you discover the love within you as you share it with others. Let it ground you and fulfill you. You can do both in love. True love means your heart is admiring the love within them, and admiring him means you are loving him with your mind as well. Let’s not forget about your soul. You probably love him completely in mind, body, and, soul, right? Love might not be needed in certain circumstances, but love simply enhances things. It makes things softer, and more compassionate. 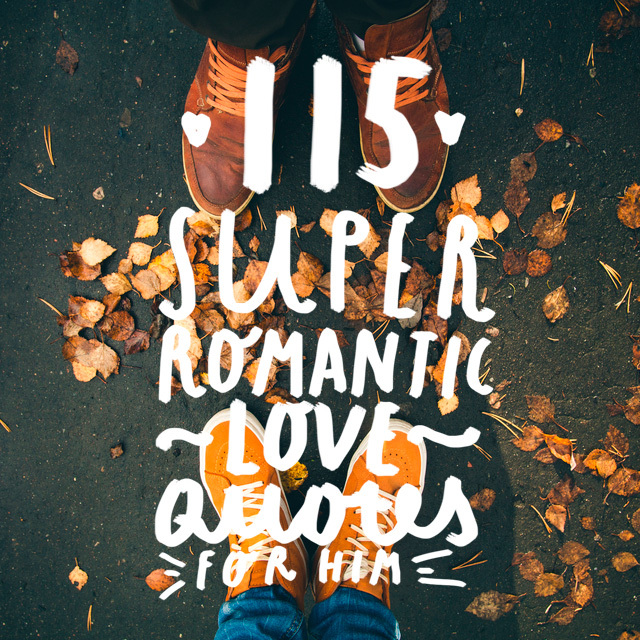 He might not require you to make his lunches, but because you love him you do it anyway. Love just gives of itself without worrying about if it is needed or not. 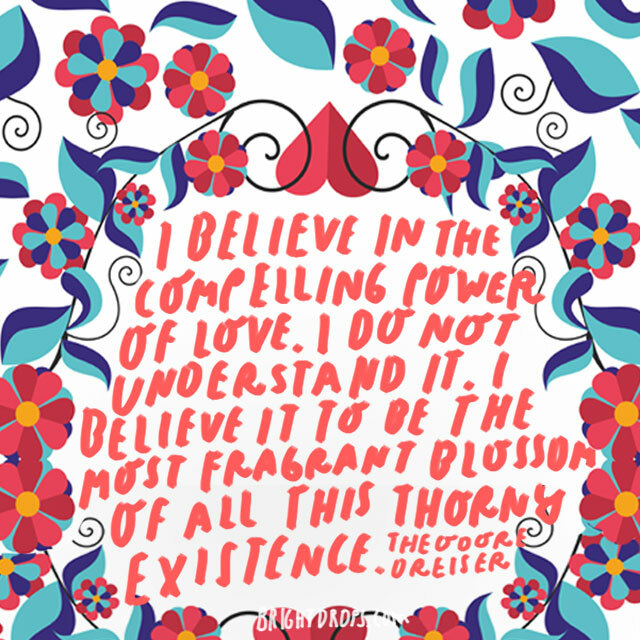 Here is another quote about the power of love. Love is deep and the well of it has no bottom. 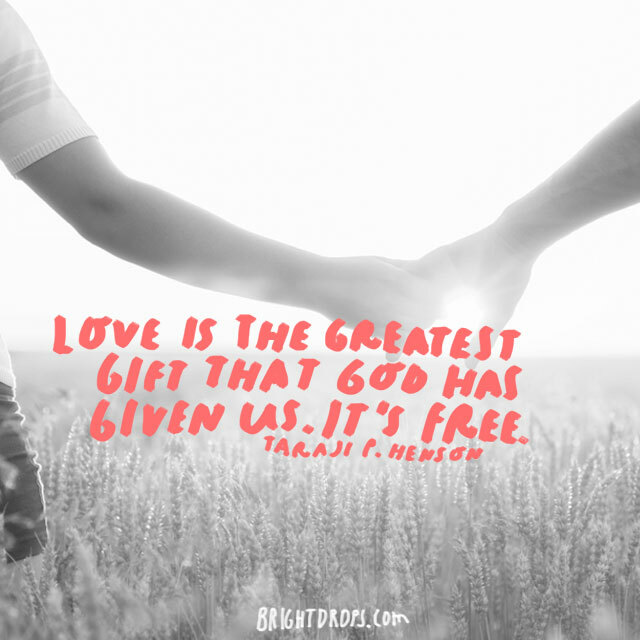 Love has transformed lives all through time and has saved people on the brink of destruction. Do not underestimate the power that exists in your love for him. 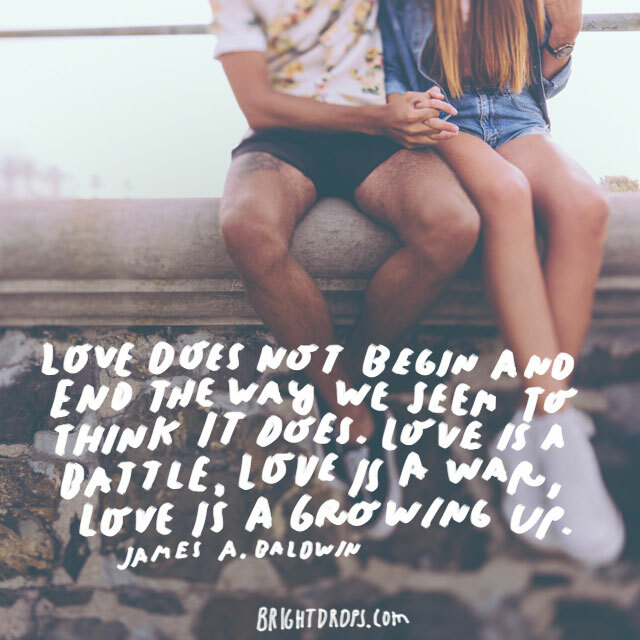 It is possible to love someone through all the ships and changes, but because things are always fluctuating it can be hard to feel in love all the time. This is normal and does not mean that you do not love him. When the ups and downs of life come, trust that you love him even if you don’t like him at the moment. 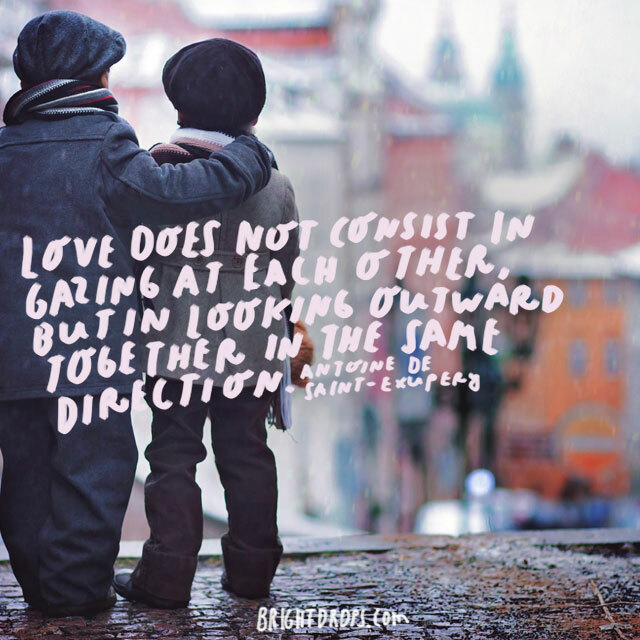 When it comes to love and relationships, the best kinds are those couples that walk side by side together. They walk together as equals traveling and creating their life together. The balance of love and power can be shifted by coming together as a team. 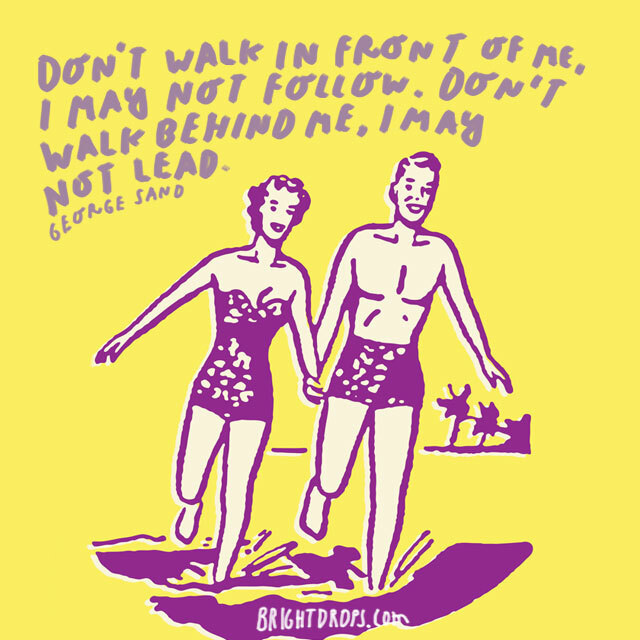 Wouldn’t you rather walk together than with one of you behind? Through time and all of the positive and negative experiences that come with it, it can be hard to keep afloat when life gets challenging, but hold onto your love like a flotation device and eventually the storms will pass. Let time carry your love into the years ahead. Make sure that you express a lot of gratitude for the love you have in your life. Being grateful for all of the little things about him and all the things that he does for you gives you a chance to cultivate even more love between the both of you. Love is a wonderful and thrilling experience but even then it can often make the heart ache. But that ache feels sweeter than all of the other joys of life. It might sound strange, but it is sure true. Love makes us yearn for more time together and parting is sweet sorrow. 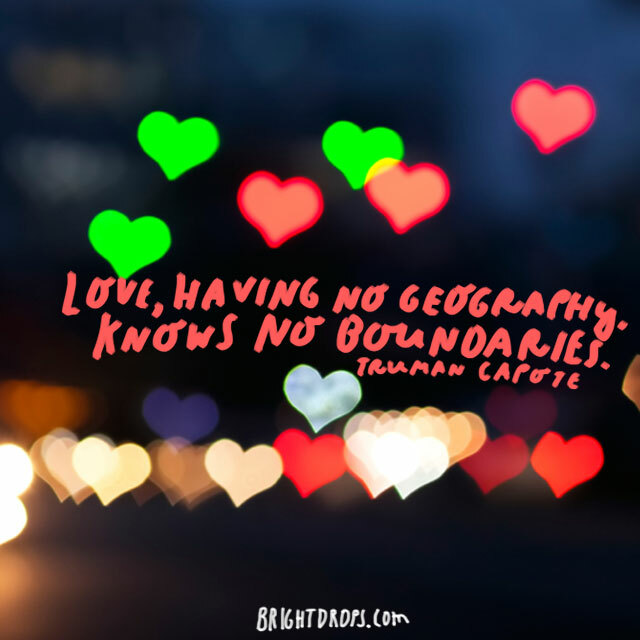 Love cannot be contained within borders. It goes wherever it feels. Your love with him might have pushed its way through all of your excuses and boundaries and gone straight to your heart. Love doesn’t care about your reasons, it simply comes to you anyway. Love is something that is truly hard to understand, though it is felt profoundly. The power of love is undeniable. It is a joy, a light, a comfort, and it is very healing. Let your love for him be something that infuses you both withe vitality and joy. It’s amazing how all love changes through the years. We label it as words but truly it is a feeling that starts out small and continues to grow the longer that you are together. What stage of love are you in right now? Enjoy wherever you both are in your love. 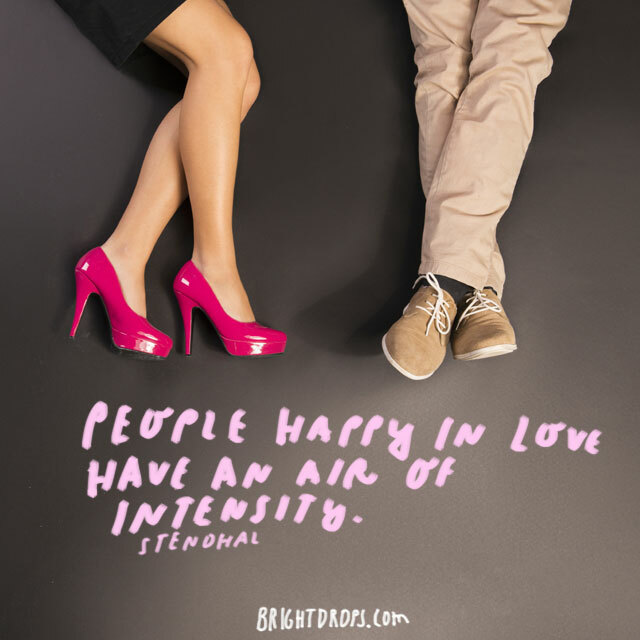 Before you fall in love with him, you probably looked at other people in love with an air disdain. Those in love can get under the skin of those who are not. But the minute that you’re in it you realize exactly what it’s all about and you are swept away just like all the others. Love exists with or without your participation. It is valuable in and of itself. 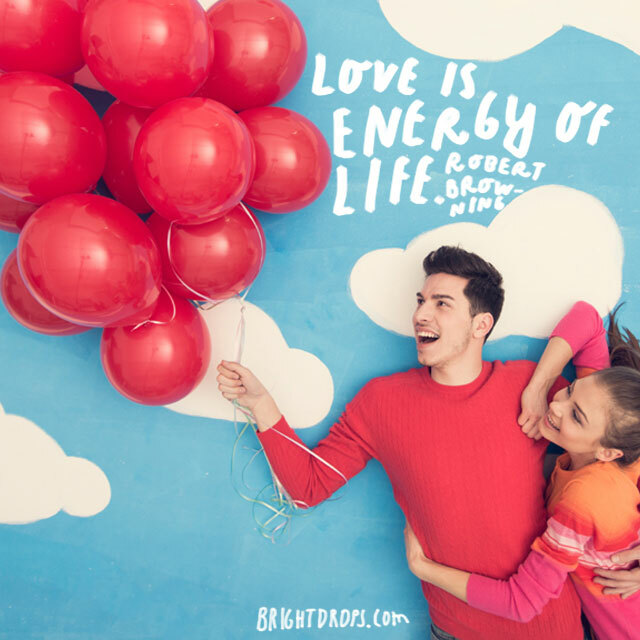 The energy of love is penetrating and profound. If you have allowed it to consume your heart then you are lucky indeed. Go let him know just how valuable he is in your life. Love brings an air of fun and childlike joy. 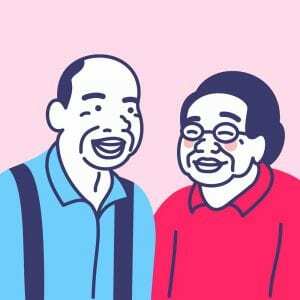 It allows you to play games in a way that is engaging to the heart and healing for you both. You can tease, tickle, cuddle, and laugh and you both win. 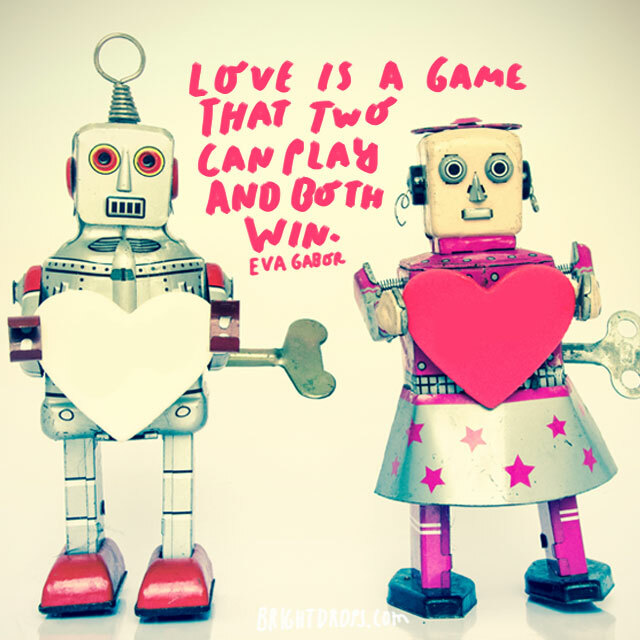 There are no losers when love is afoot and the game is on. When we love, our hearts makes sense of even the most complicated of theories. When you are deeply in love it seems you can measure space and time simply with a loving your heart. That’s a pretty powerful sensation. Love in the heart is timeless and precious. 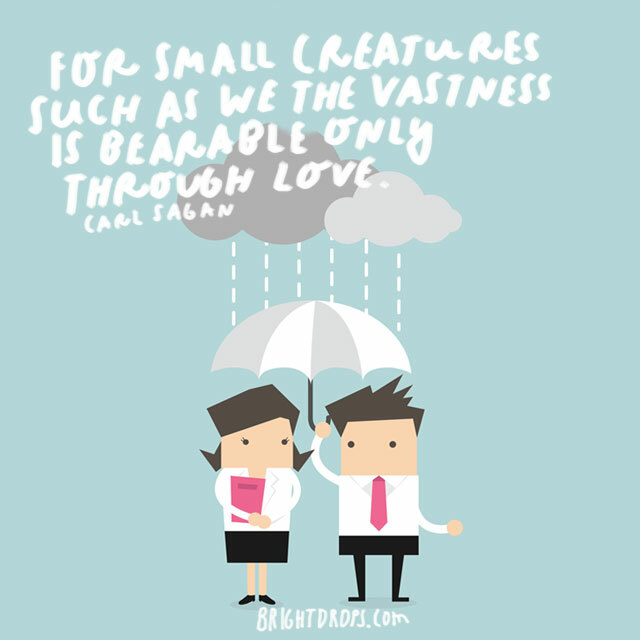 Love itself is immeasurable. Love is such a wonderful gift that it is amazing that we don’t have to pay for it. We have been given hearts tender with compassion and vulnerability. Loving can be a little scary at times but it makes life so much more worth living, don’t you think? What would this world be without love? 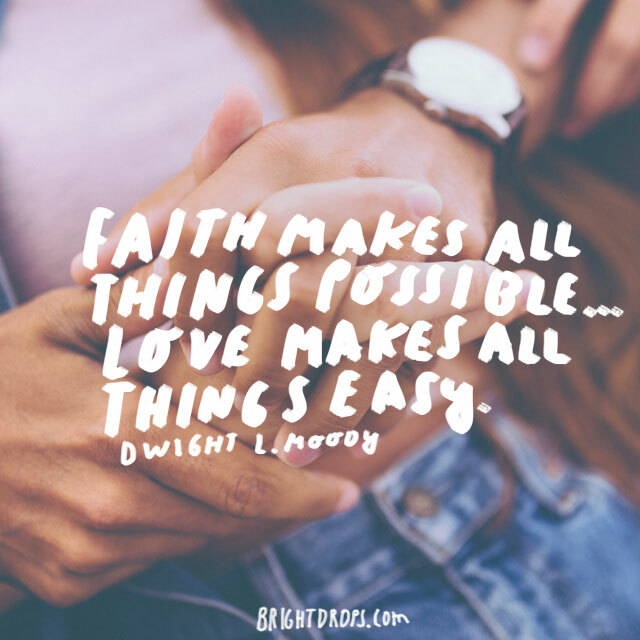 If you have the two, faith and love, then you have an advantage. Love gives you the strength you need to do things that you didn’t think that you could do. It allows you to flow through with things easily because of the magic of love. It eases wounds and puts a spring in one’s step. 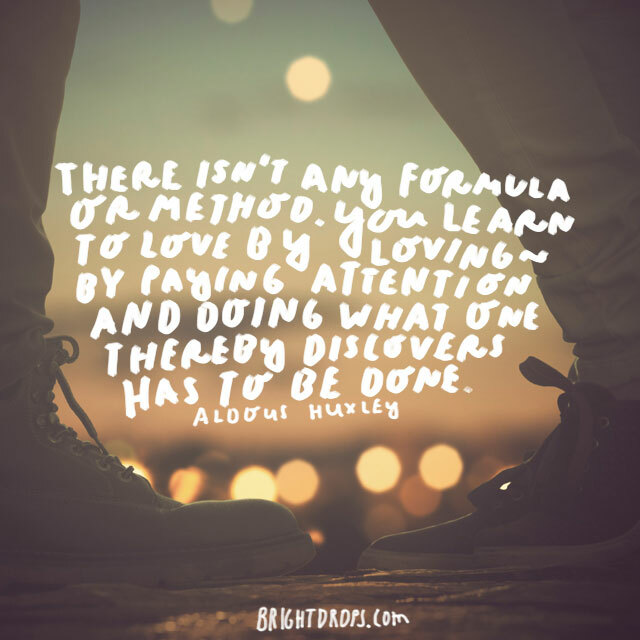 If there was a formula and method to love, many of us would be using it to our advantage.But there is no instruction manual on the best ways for us to love We simply must practice loving by being attentive and using our actions to express our love to others. 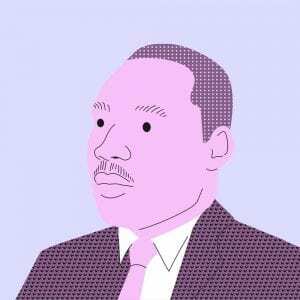 Is he the sun to your earth? Is he your daily sustenance? 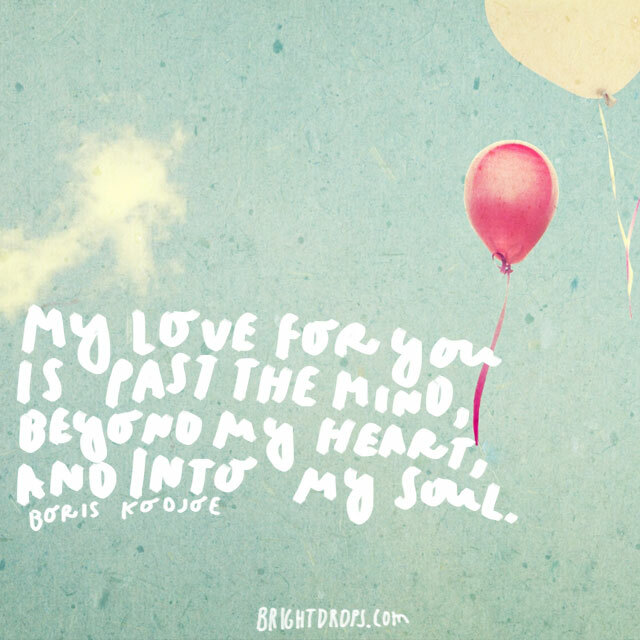 When you’re truly and deeply in love it can feel like your lover holds the keys to your very existence. If he is that important to you then make sure he knows it. Making up is the best part, isn’t it? It is not fun too argue with your lover, but when all is said and done and it’s water under the bridge, you are both stronger because of it. Your love is renewed and you have both grown together that much more. It is impossible to be in love with someone without friendship being a part of the equation. 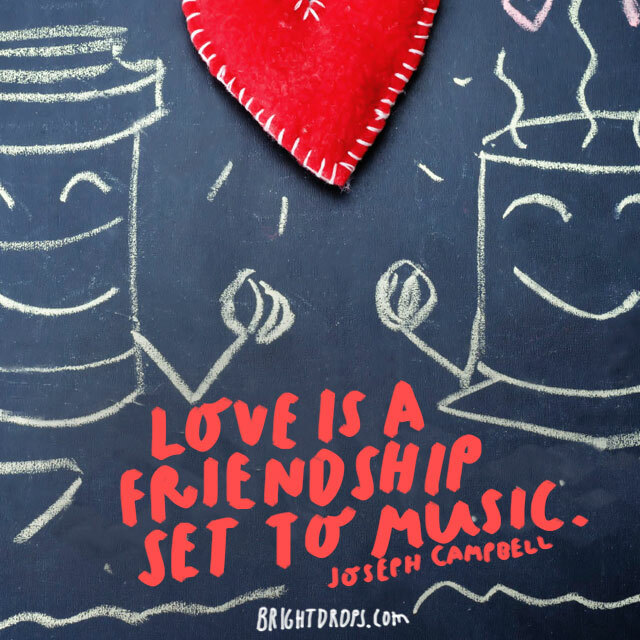 Love takes your friendship and creates something beautiful and artistic. Make sure to always cultivate friendship between the two of you. Make it a priority and watch your relationship grow even more because of it. If you are in the process of falling in love with him right now, bottle up your common sense and simply throw it away. 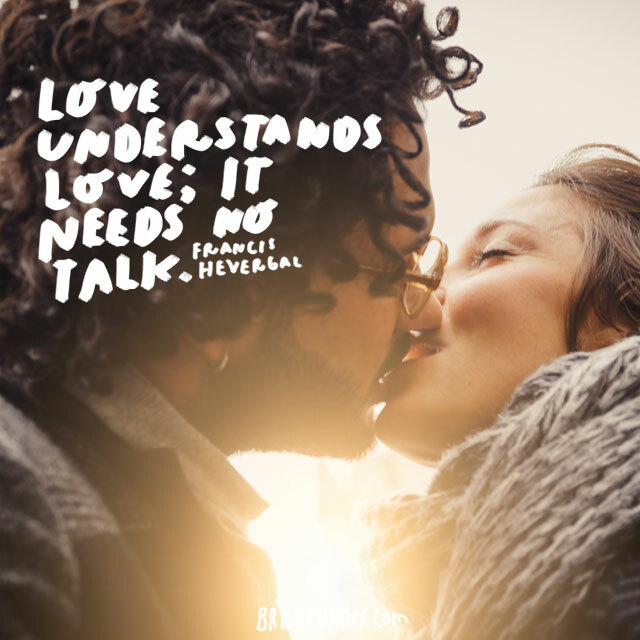 Often we can allow our common sense to talk us out of love when that love is the very thing that we need. 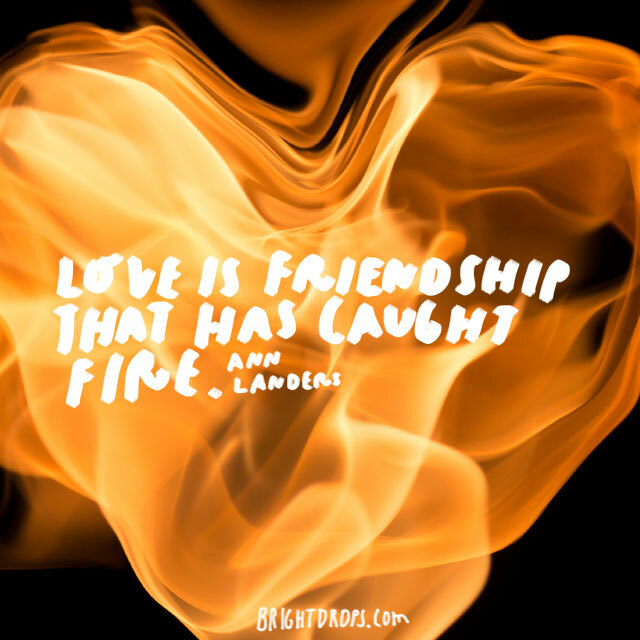 As has been mentioned many times before, love ignites passion and vitality in us all. It refreshes the dull and lazy parts of us, as well as lighting the darker parts. Allow your love for him to bring you alive and to refresh your life. You won’t regret it. Perhaps this is what is happening when we say that opposites attract. 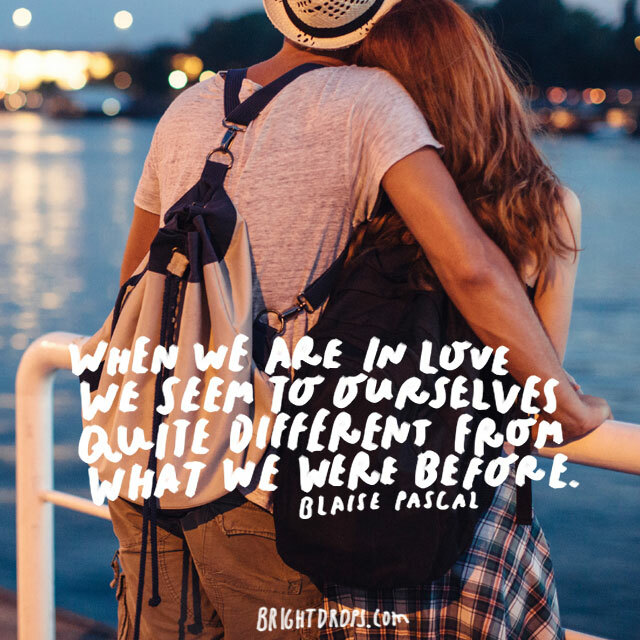 Even if you and he are completely different, there has to be enough similarities between you for love to exist in the first place. Celebrate your differences and come together in your similarities. Let love cure you. Let it touch the scars on your heart and ease the memories in your mind. 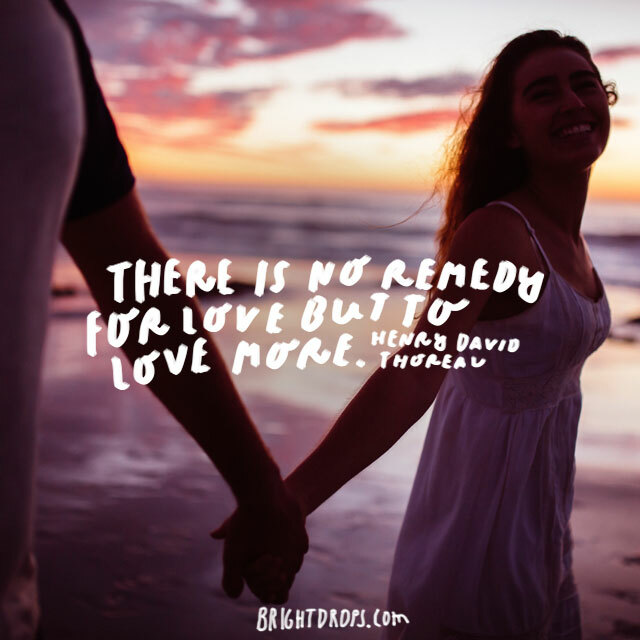 Let new love refresh and revitalize your life. Love is transformative. You and your lover have probably already healed parts of each other simply by sharing your love. Because you love him you have probably seen yourself in him, and are happy that you recognize parts of him within you. It is these parts of you in him and him in you that cultivate the love between you. Your differences can be celebrated along with your similarities. 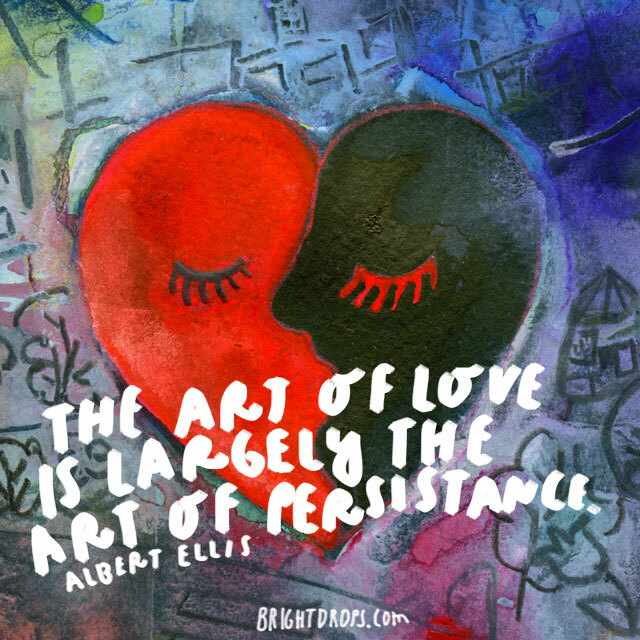 On the darkest days and the worst of times, tap into your reserve of love and let it give you strength and fortitude you need. Love is so powerful that you simply need to use it to help yourself live and grow. It is stronger than you think. 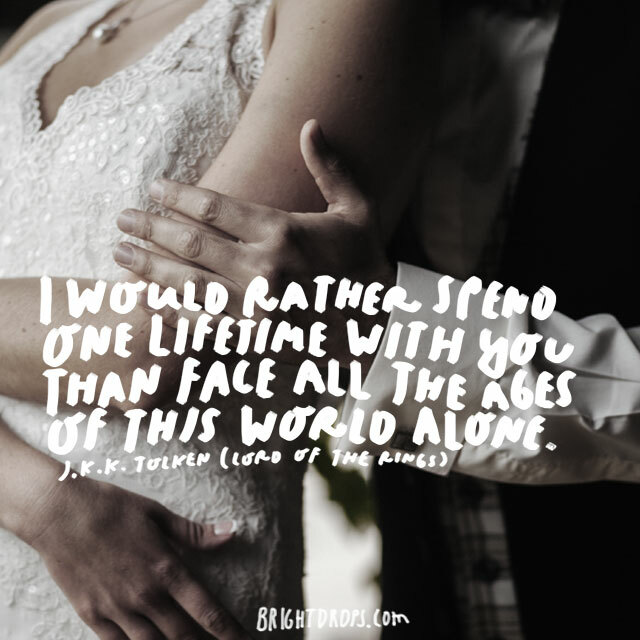 You can climb the Andes Mountains, or cruise the Nile River, but love is the adventure of a lifetime. The reason for this is because to risk the vulnerability of your heart is quite a scary thing at times. But once you have, and once you receive love in return, it is the grandest of adventures. You may have locked away your heart and thrown away the key, but when love hits your life, your heart will start to come alive. 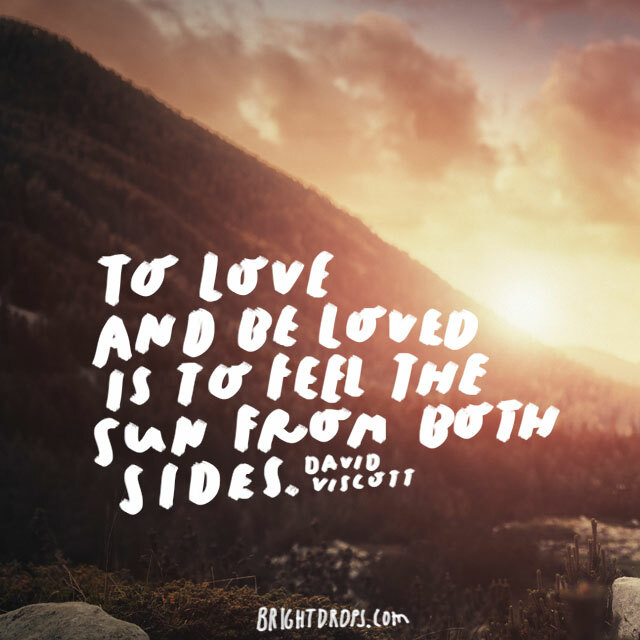 Love shines a light on the darkest parts of yourself and allows you to feel and heal. You awaken within the light of love and flourish because of it. 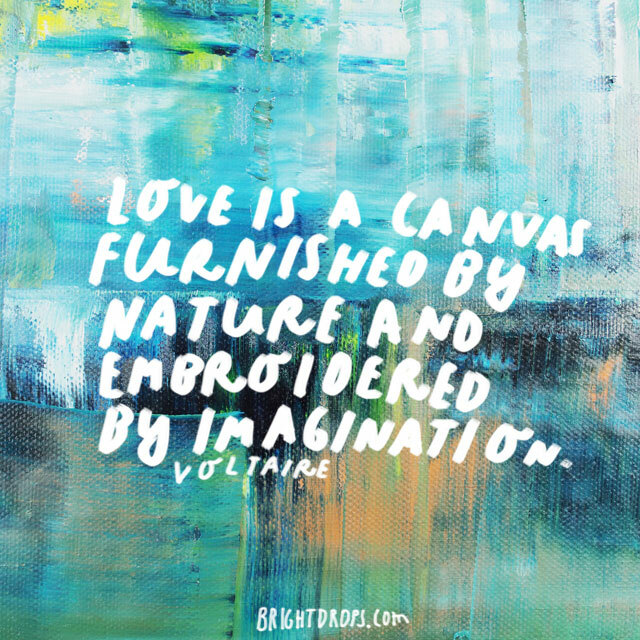 What does your canvas of love look like? Nature gives us this canvas to play with and our imagination is what paints a picture. We can create whatever we would like out of it. 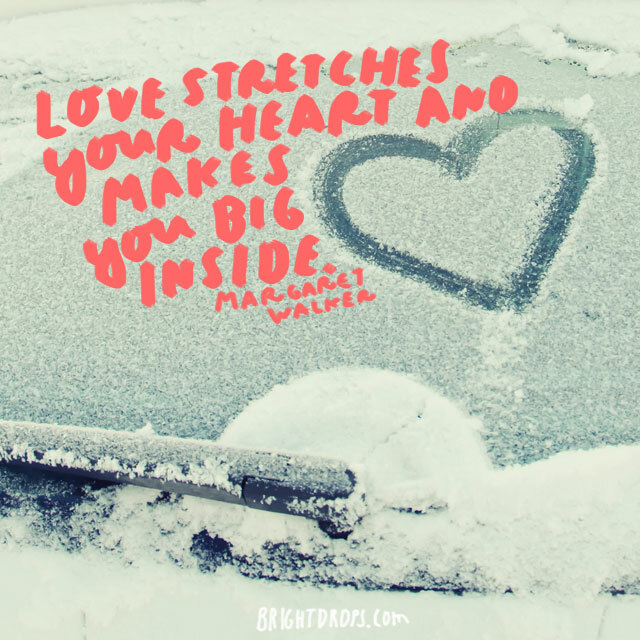 What have you created with your love? Healing? Fun? Excitement? A sense of belonging? Only he can understand your silly and goofy side, as well as you understanding his. Being in love means you both get to be stupid, and who cares if you are? Love tends to scramble our brains but at least you both are scrambled together. Enjoy it!